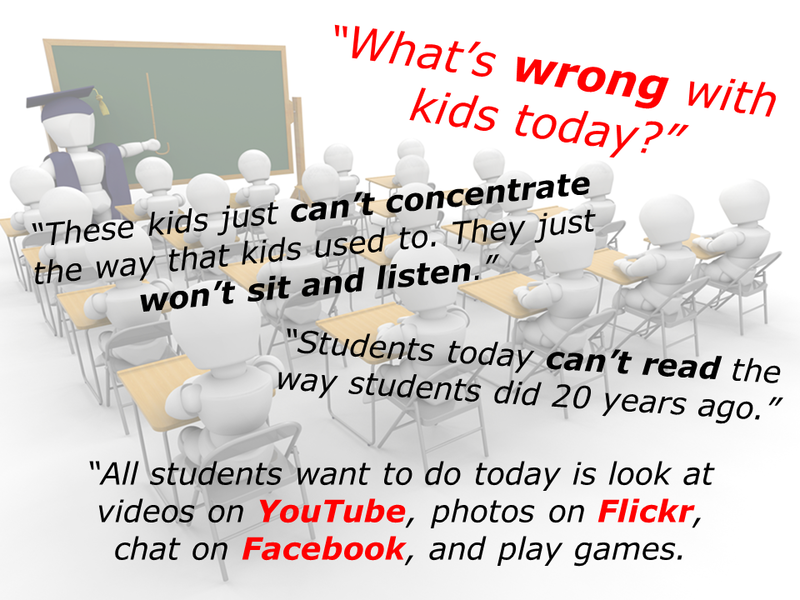 …I promised that I would stop using the phrase “21st Century LEARNing”. OK – so glad we got that out of the way! 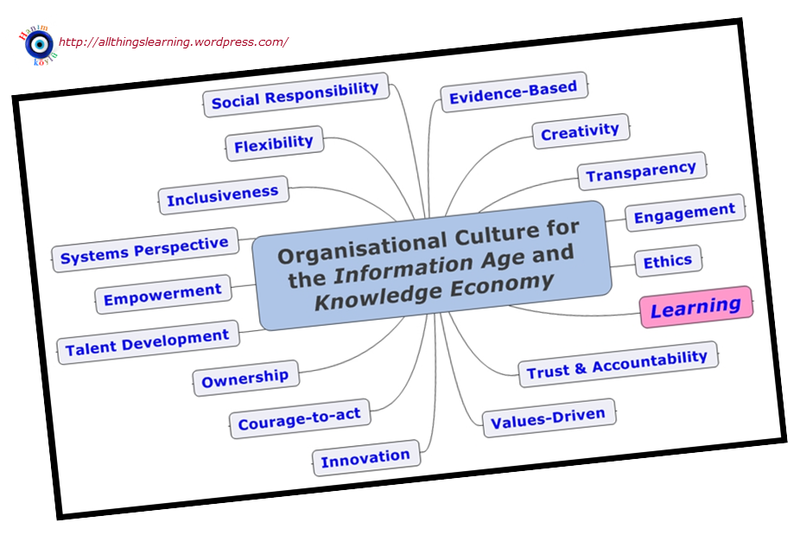 In one of my very first posts (seems like a lifetime or three ago…but it is, in fact, only 30 months) – The End of the Highway – I talked about the type of organisational culture that I saw evolving over the next few years (for the Information Age and Knowledge Economy – so now you see why I went with “21C” a wee bit later). OMG! My graphics were pretty lousy back in the day, yes? Now, that’s a place I want to live…the kind of place I want my grandkids to LEARN within (no, just stop asking me about that bloody “manopause” thing already)! 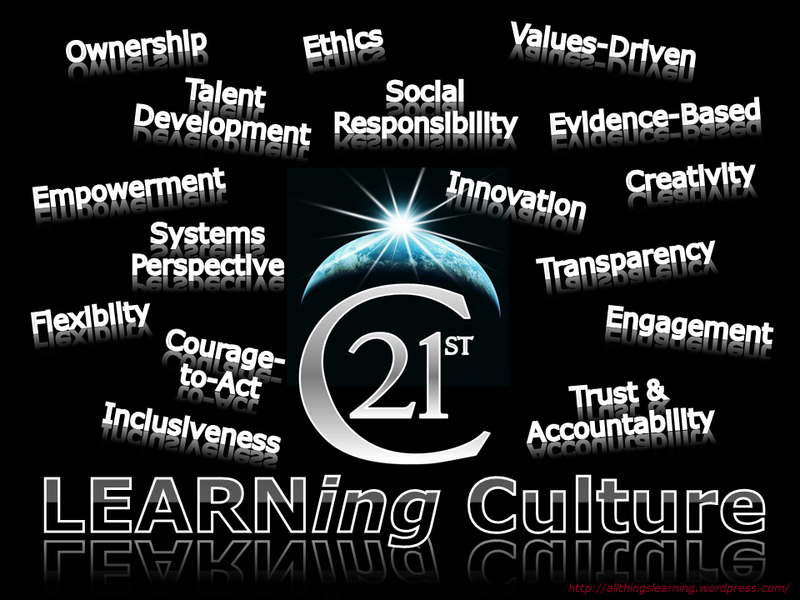 A true LEARNing Culture for the 21st Century! But, what happens, for example, if I meet with an untimely demise – there are many Mütevelli Heyeti Presidents out there (a few YÖK employees, too) that would not be too unhappy if Tony Hoca “disappeared” or just started sleeping with the fishes (shock-horror). 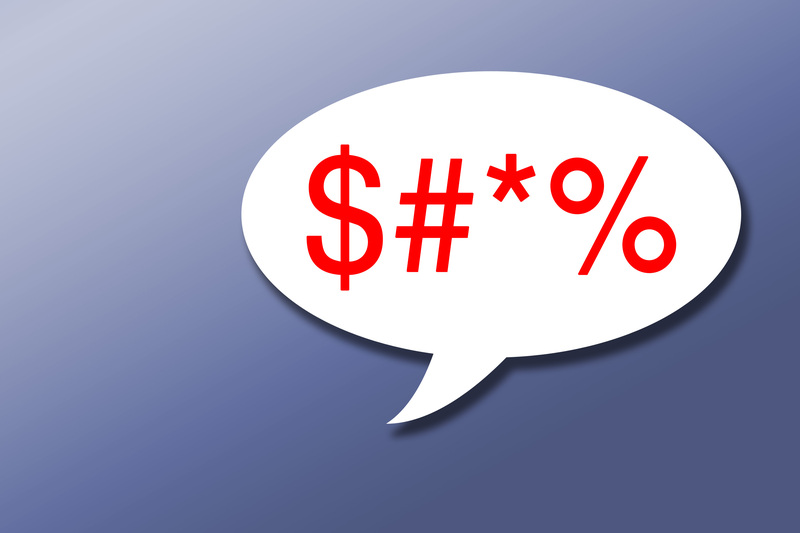 Those grandkids of mine might grow up (in canım Türkiyem, of course) with a wonderful degree of control over their mother-tongue…but be not so hot in their grand-daddy’s tongue. 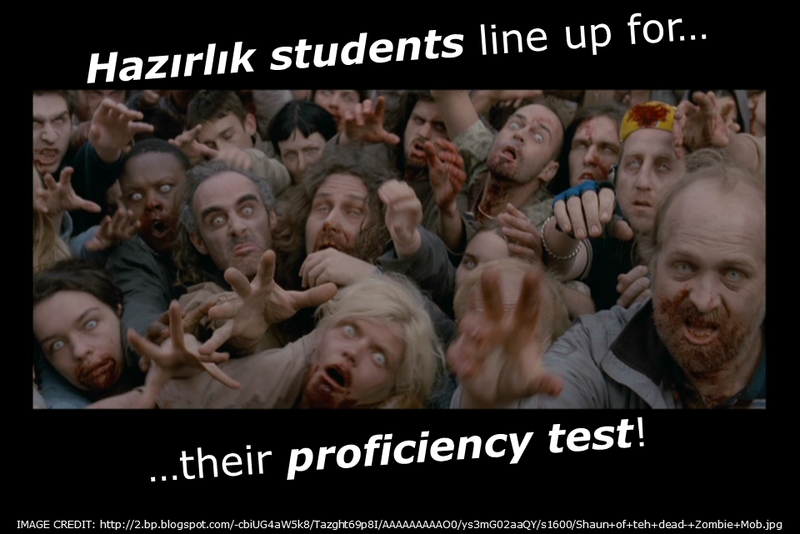 As I suggested in my last post – all is not well in the state of “hazırlık” – apathy and lack of interest in the most important medium of global communication on the part of many hazırlık students, has evolved into a zombie-like pandemic! 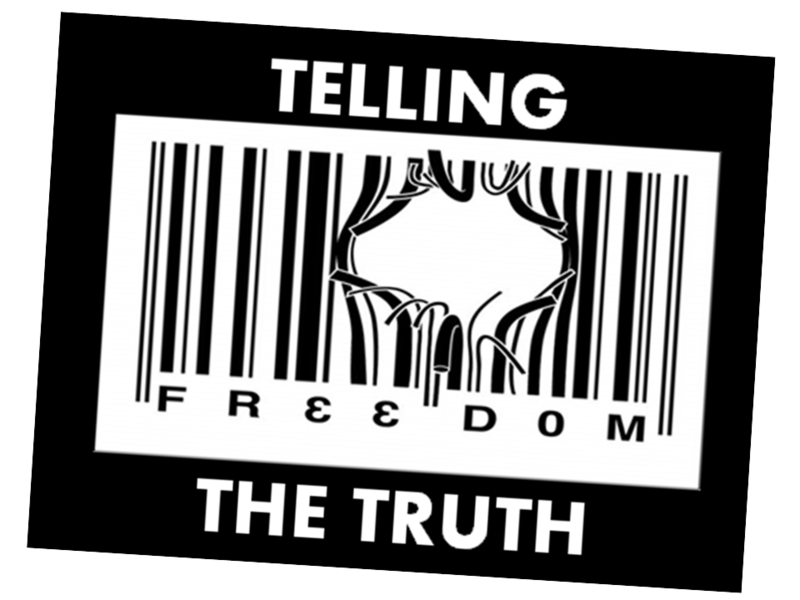 In truth…all of HigherEd in canım Türkiyem…needs a check-up! However, rather than help “fix” this very real problem – there is many a faculty lecturer, a head of department, a dean (or Vice Rector…even) within our so-called English-medium universities that would love us all to believe this (perhaps to cover the fact that their own English language skills are not that great or that they are still “delivering” English-medium “courses” in Turkish – of course, all down to the fact that the Hazırlık “Team” taught them nowt)! …you know how it goes, yes? 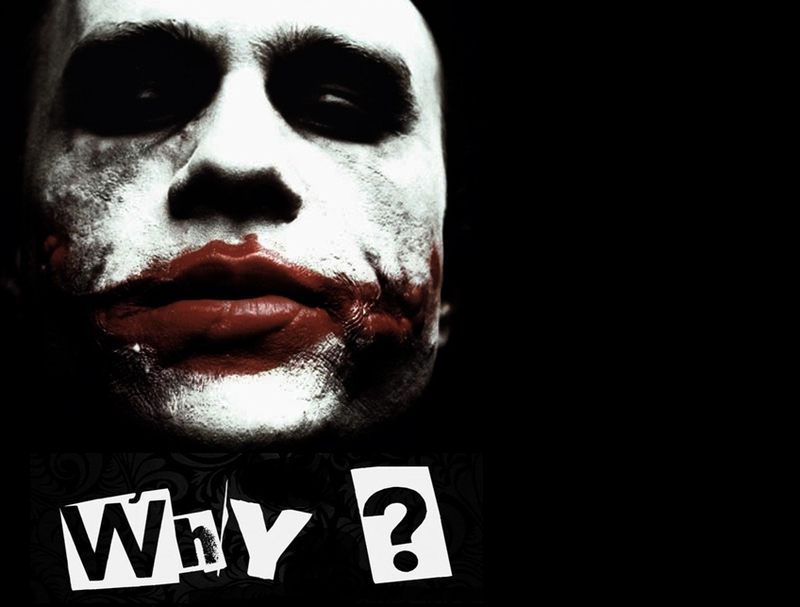 You also know the question that always gets asked…first! We could, of course, point all those fingers at the students themselves. I mean it’s not as if they don’t give us enough reasons. 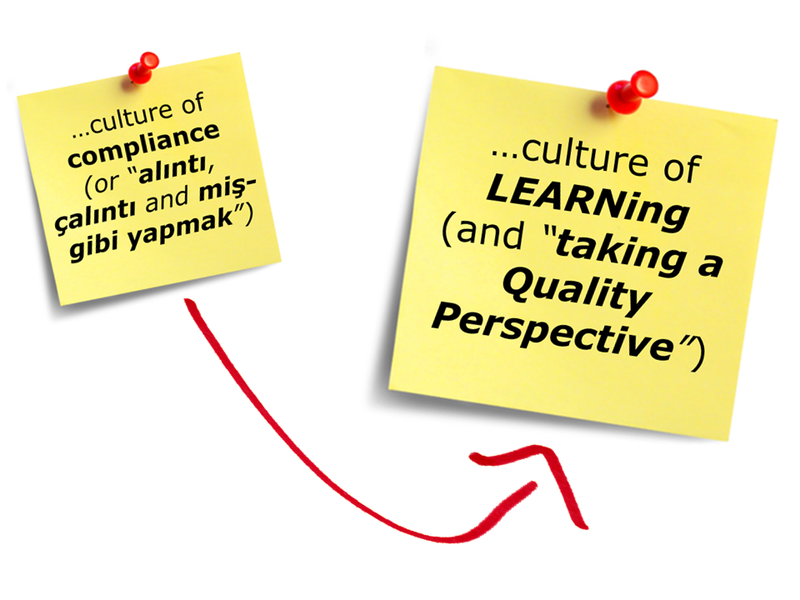 Reasons, I might say, are all reinforced by the things many hazırlık teachers have been overheard saying…thunking – again and again! …and dragged their kids up to be all the things they never could…be…afterall! 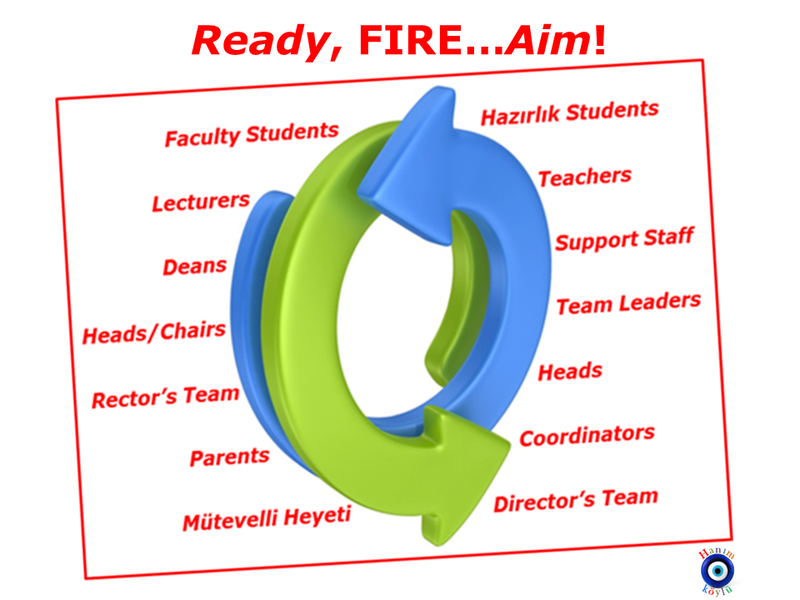 There is no shortage of “targets” for our fingers – just look at how many we have in both Hazırlık…and the post-Hazırlık world (remember guys…there is a life after the proficiency exam – before, too)! 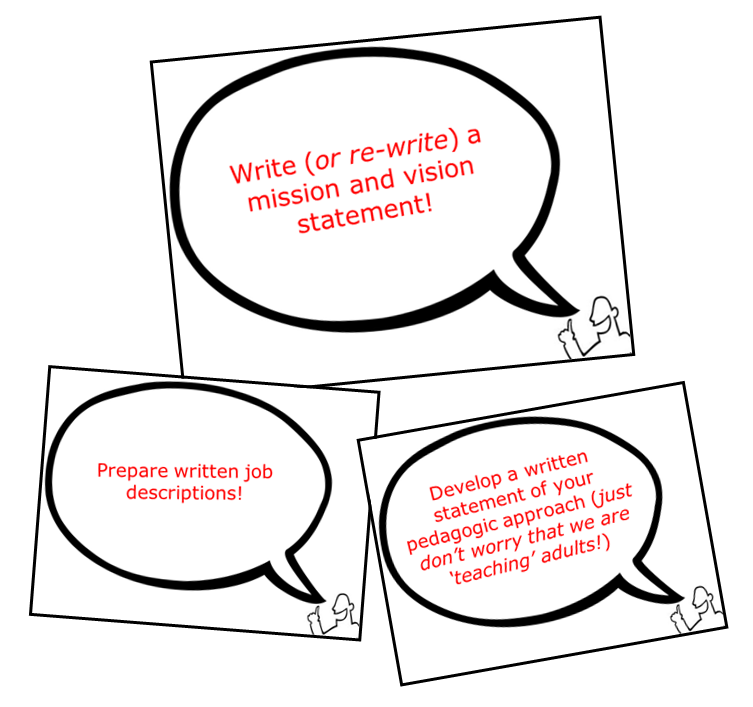 …and, let’s not forget those pesky trouble-makers – Teacher Trainers! 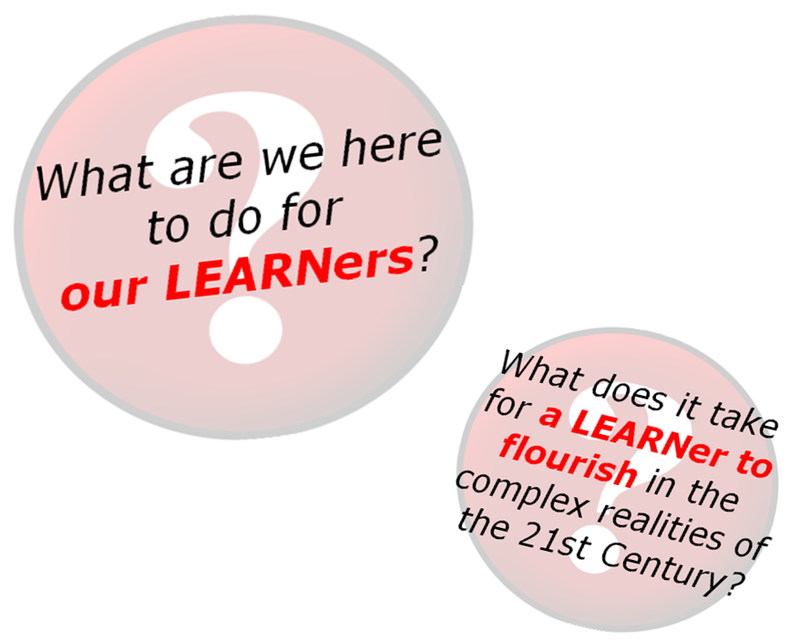 Weren’t we saying something about…a 21C LEARNing Culture? 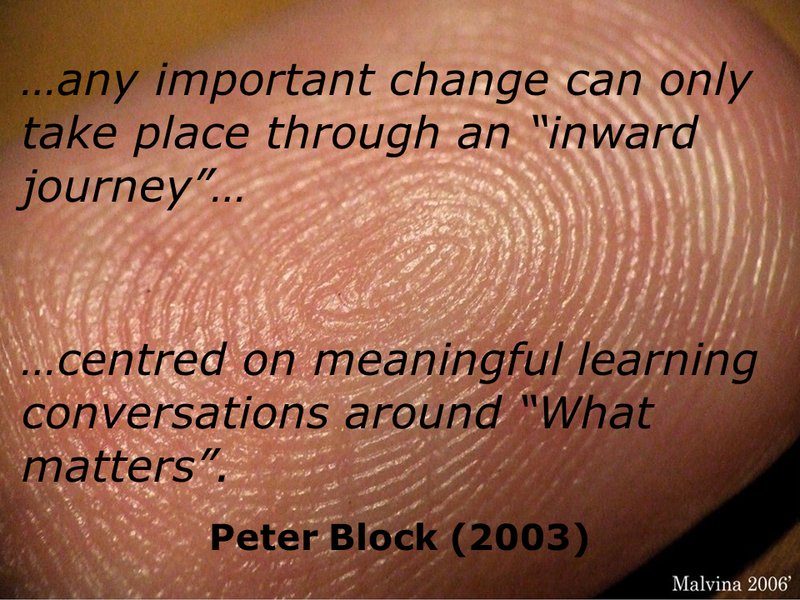 How does this “finger-pointing” fit in with a climate of collaboration… – and what were those other thingimejigs we all say we want to see in our institutions? 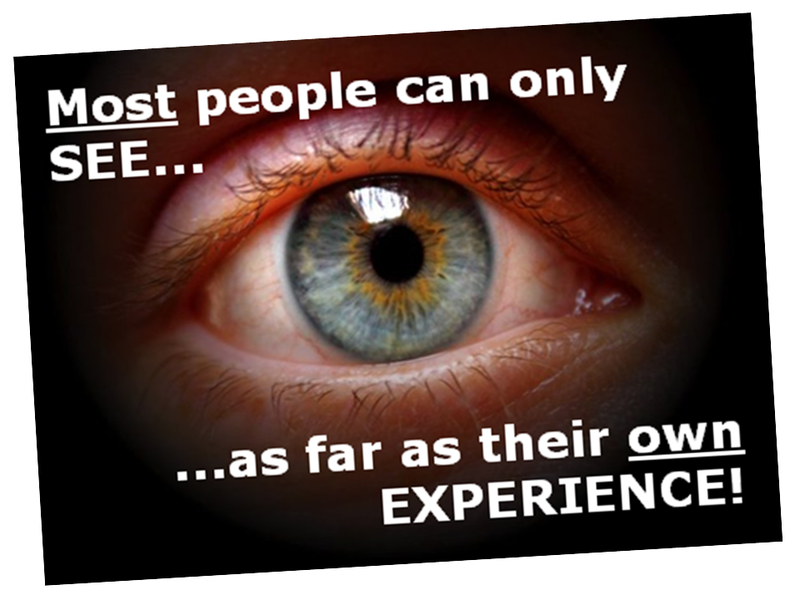 Heck, if we look at our websites – we ALREADY have them…ALL! 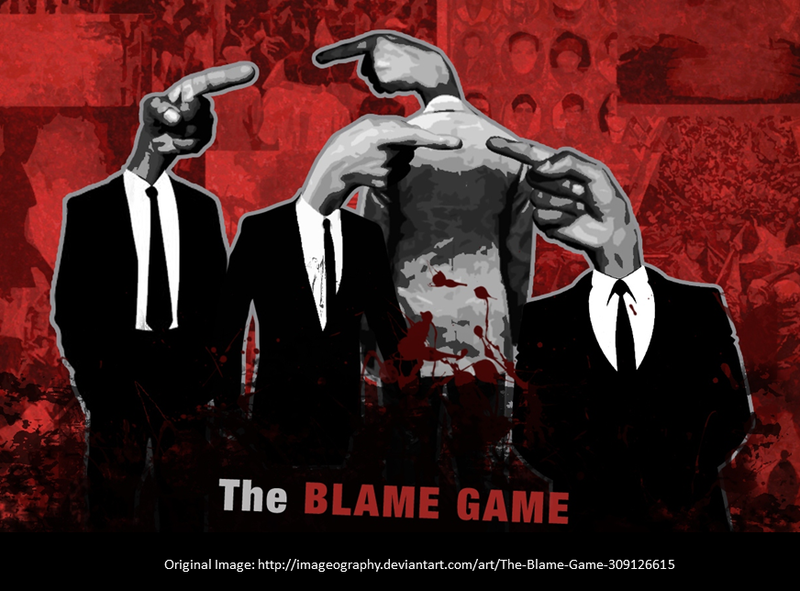 If we really believe that this type of LEARNing Culture is who we are…what we need – is there “room” for the BLAME GAME? 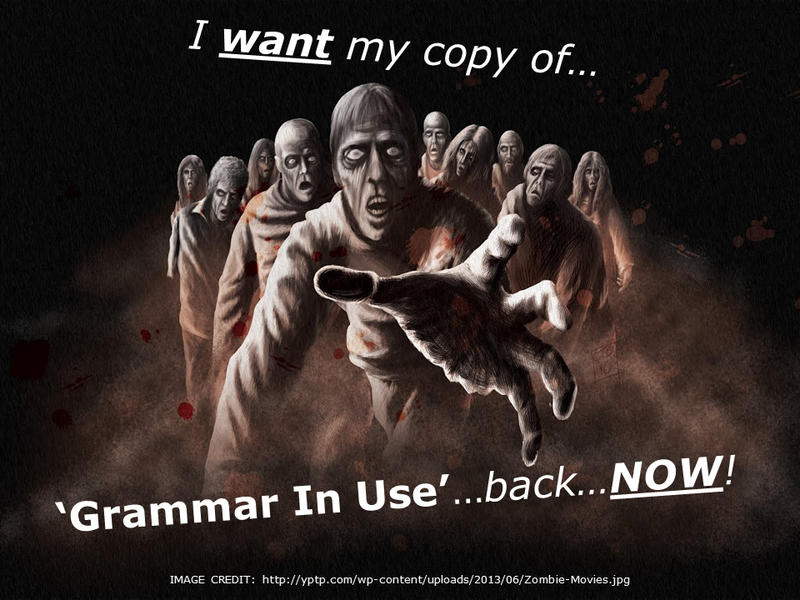 Sorry about that full stop…beating off Zombies here! Call me a “dreamer” (I take that as a compliment, BTW)! Call me a “fool” (Mmmm, this one…not so much)! Every single “stakeholder” in every single university across canım Türkiyem has, in some way, contributed to the pandemic spread of the Lise5 Syndrome – even the parents (and those Vice Rectors I mentioned). I’m guessing many other English-medium universities around the globe…have their own strain of the Zombie virus we have been looking at. THUNKing a wee bit differently…is the key! 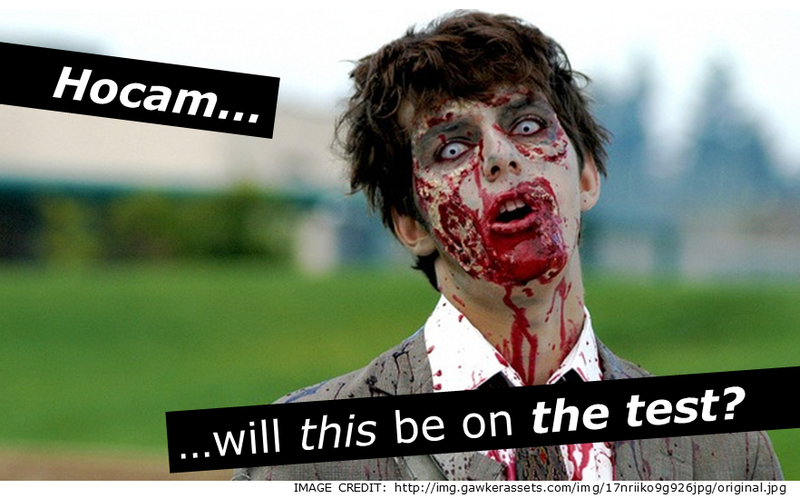 If we could just get to that first “question flip”, we might have a chance…we might survive! …maybe, we can just keep “living” with the “walking dead”! 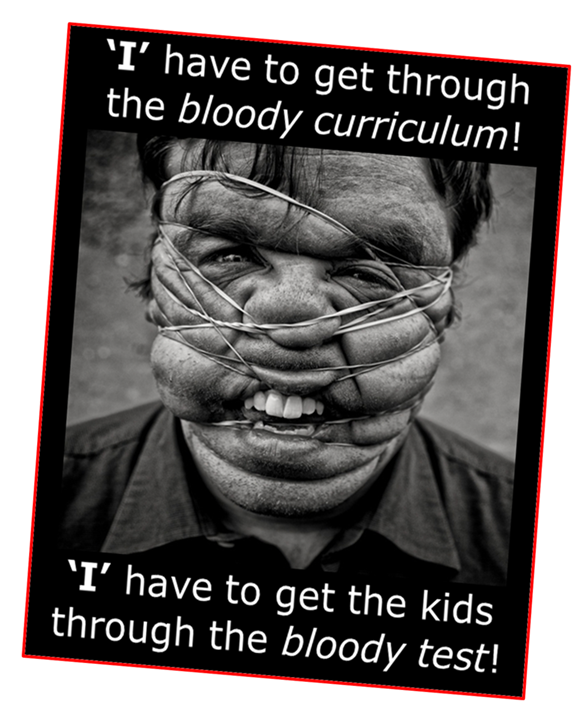 Is it our ‘Curriculum Thunking’ wot is BROKEN? 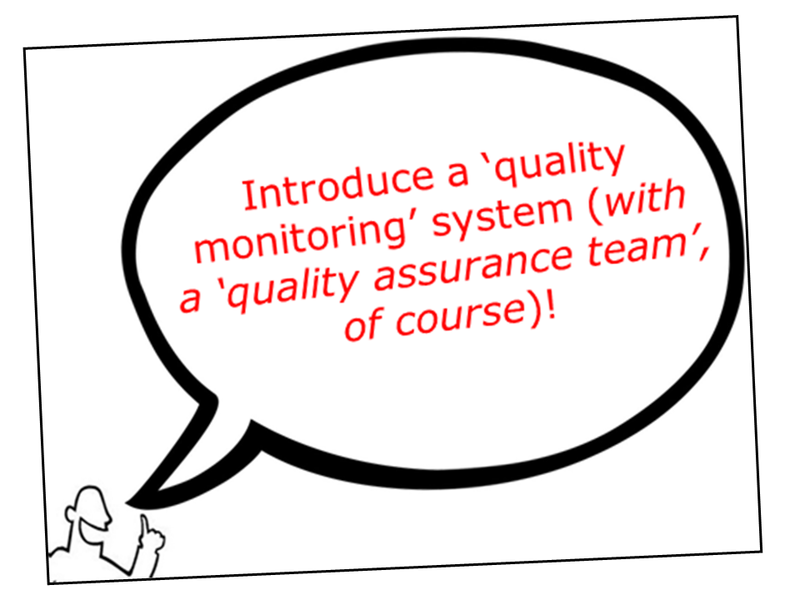 Could it be our understanding of ‘Quality’…that is BROKEN, perhaps? 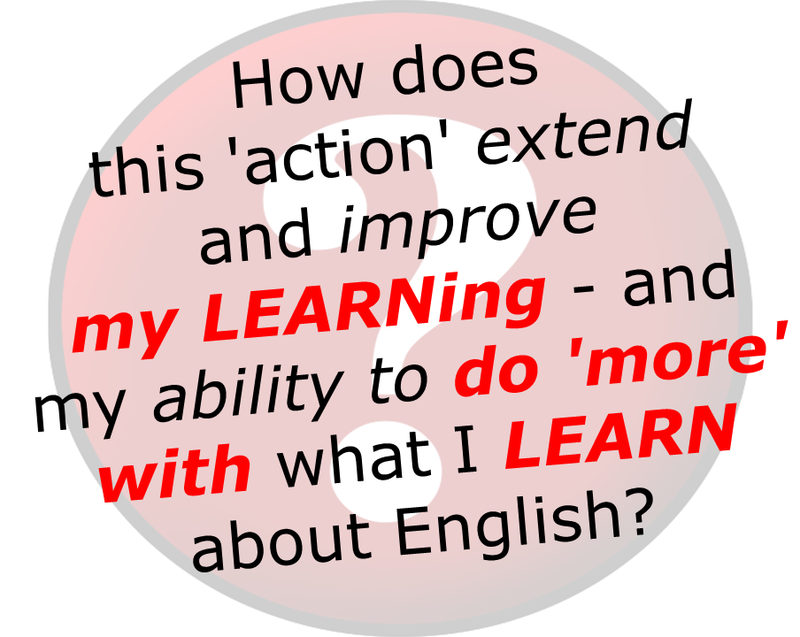 I’ve just read Scott Thornbury’s latest (and “last“) post on his wonderful blog – An A-Z of ELT. 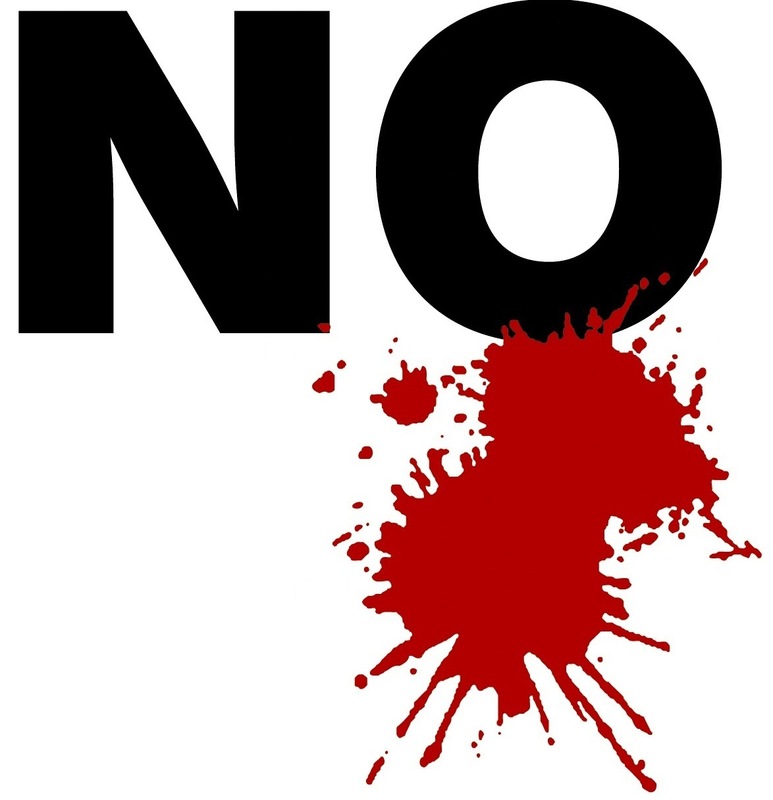 What a way to go out…with a wonderful list of “must-read” posts! Not to worry…he’ll have a new one for us after Summer! 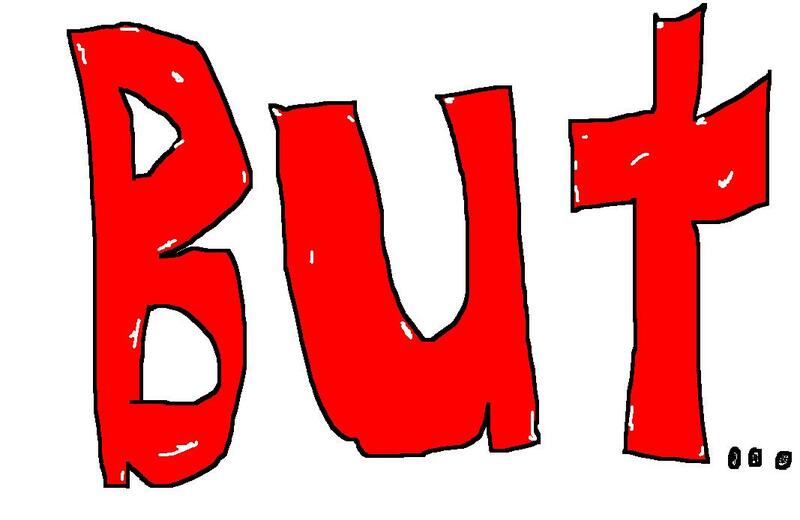 Scott’s blog personifies…for me…the thunks that characterise an educator with a high degree of “fluency” in what I have dubbed EDUcational Literacy (esp. 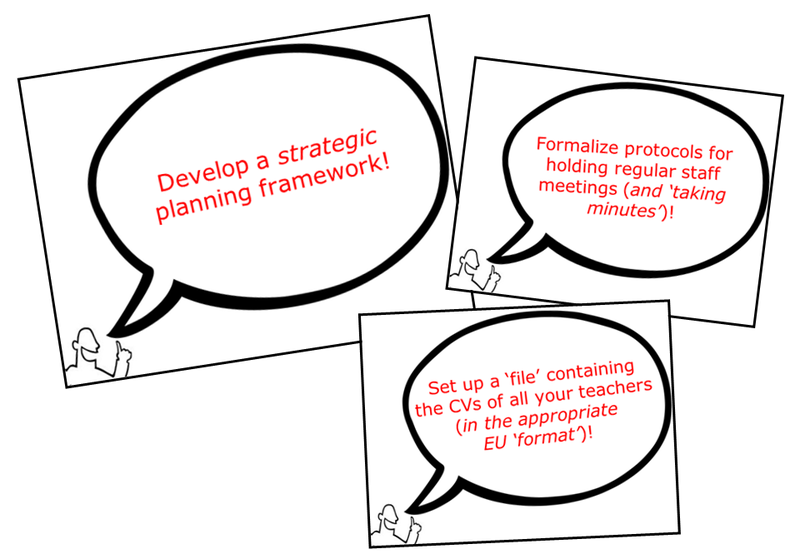 for those in the world of ELT) – just take a look at the 30 posts he highlights in that last post of his! Soooooo much great “bedtime” reading for the Summer! 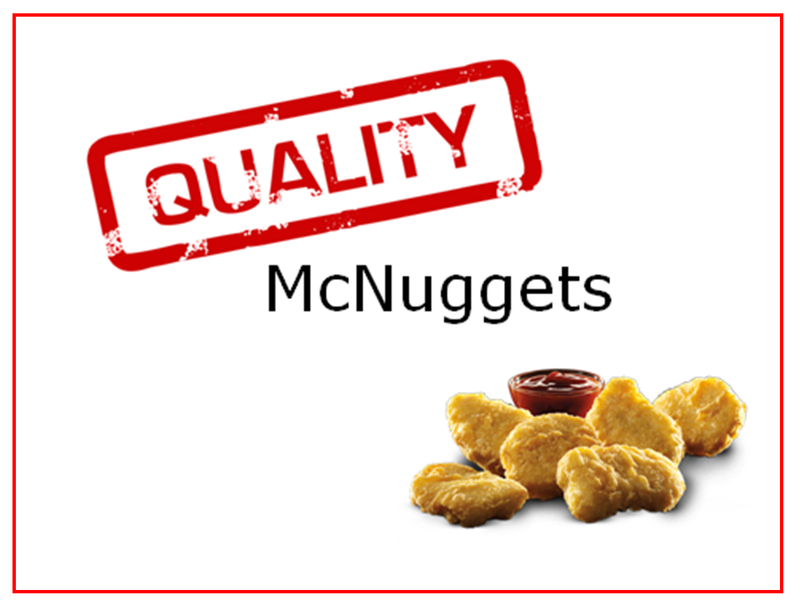 Yeah…you guessed it! I was in the middle of doing my own “Sunday Post” when Scott’s landed in my in-box! But, I meant what I said…he just gave me a nice “hook”! 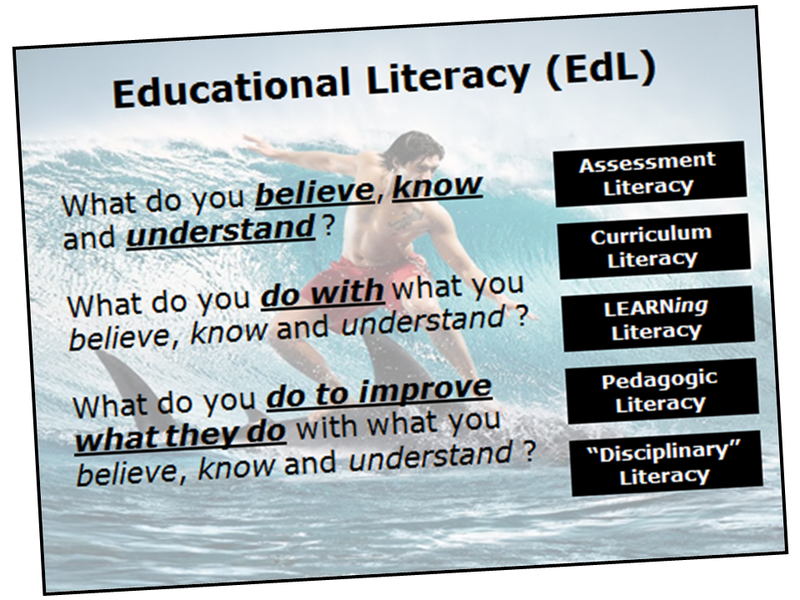 “What exactly is EDUcational Literacy”? 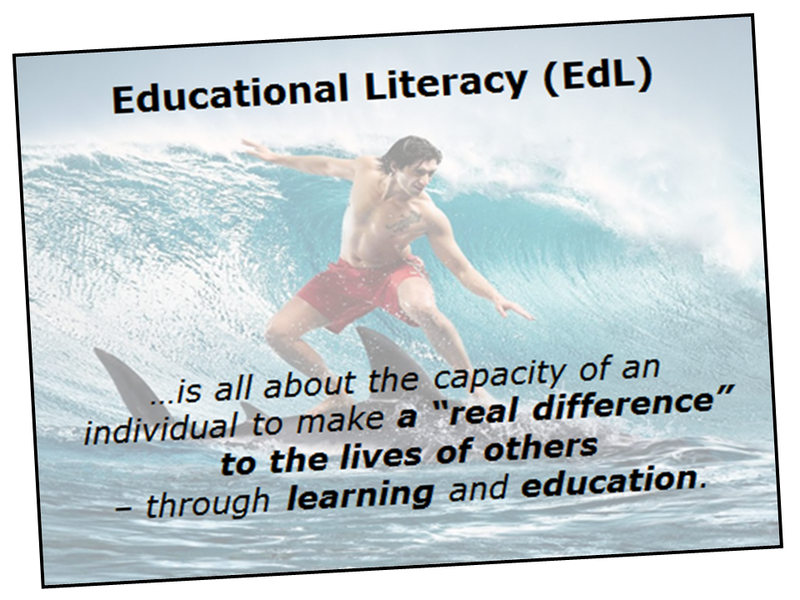 In a way, Educational Literacy (let’s stick with the abbreviation – EdL) is something that should concern everyone on the planet. Any parent wishing to help his or her child make “wise” decisions about schools, colleges or university – needs to have EdL. Any teacher walking into a classroom (for the “first” or the “50,000th” time) needs to have a lot of EdL, if she wants to be truly effective. 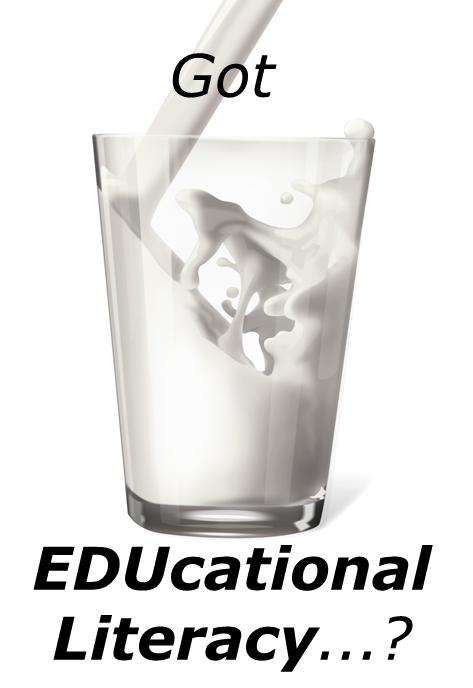 EdL is something parents, students, teachers, educational administrators or anyone involved or interested in the world of learning (including, dare I say, media representatives, publishers and politicians) – must have! In the case of teachers, EdL is more than the teaching-related knowledge and skills required to manage a classroom, present content and practice teaching points – that is known as Pedagogic Literacy. 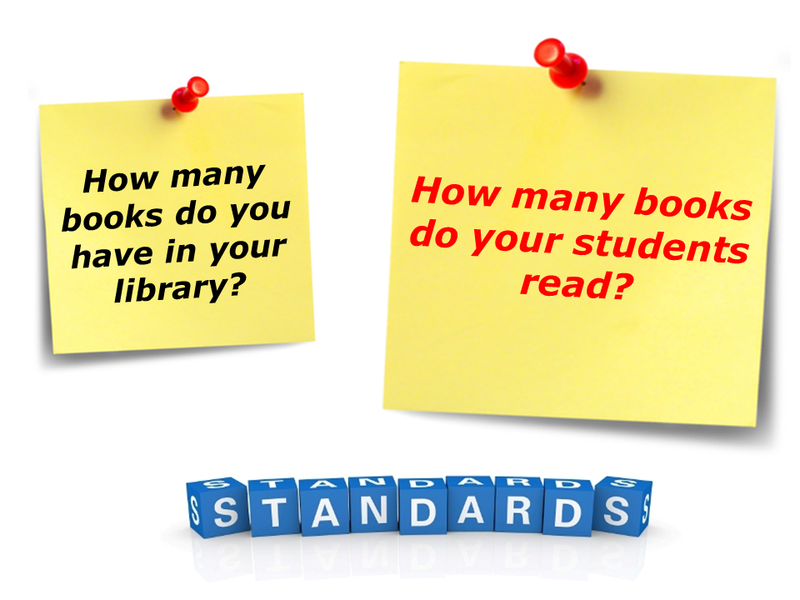 Nor is also just our knowledge of grammar, structure and vocabulary (major components of Disciplinary Literacy – in the world of ELL and ELT). It touches on a teacher’s beliefs and values, the way she interacts with her learners and the extent to which she reflects on her own practice – to grow professionally and create even “better” LEARNing opportunities for those around her. EdL is also something that many people (sadly) do not possess – and this is what lies at the heart of many of the challenges we face in education. Parents that tell teachers that their job is to “create” an engineer or doctor out of “Little Mehmet” – have low levels of EdL…sorry mum (and dad)! 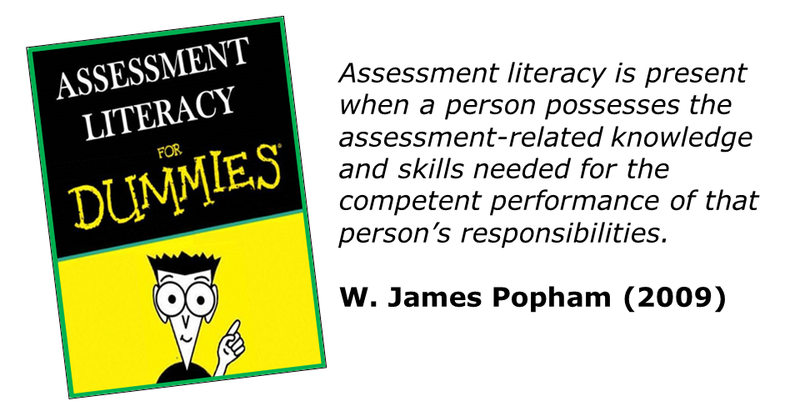 Students that “blame” their failure on a given exam or the “academic clubs” that manipulate exam cut-offs – have low levels of EdL…sorry guys, time to take some responsibility (unless, that is, their educators also happen to have low levels of “Assessment Literacy”)! Lecturers and teachers that do not even bother to learn the names of their students or “care” what these students “bring” to the classroom – have low levels of EdL…no apologies required here! 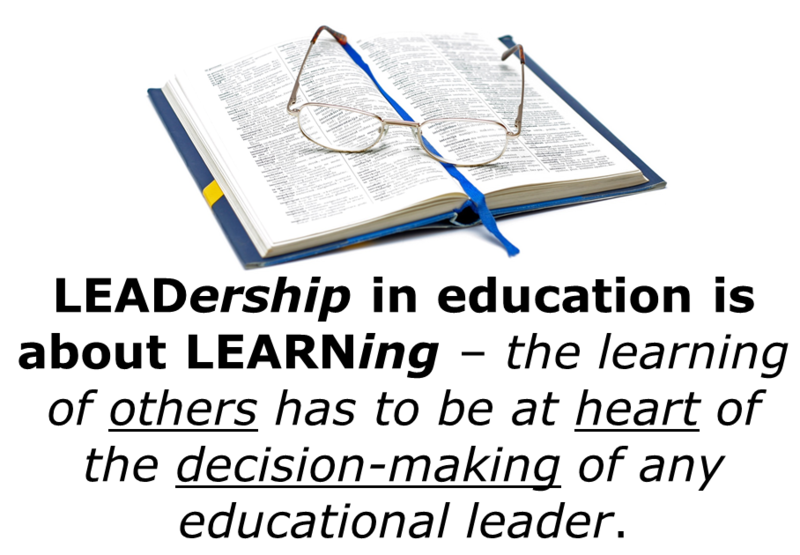 Educational Managers (up to and including Principals and Rectors) who value their “seat” more than the LEARNing of their learners and still fail to see the importance of “walking-the-talk” – have low levels of EdL…guys, just move aside (the 21stCentury is here)! Schools that live off the “fat” (or prestige) of the “past” or try to “fake-it-till-they-make-it” – have amazingly low levels of EdL…time to “get real” and evidence what you “say” you “are”! 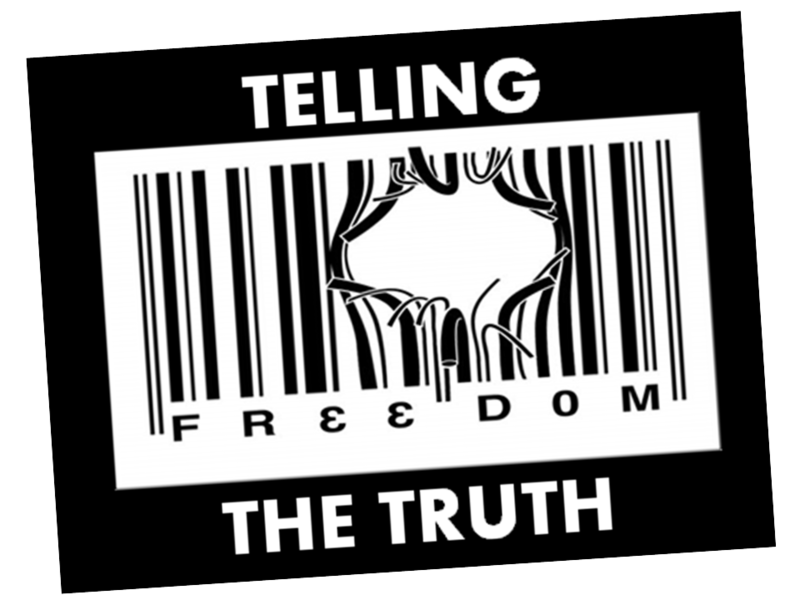 Media representatives that report the “league tables” without helping students and their parents to ask the right questions about how the “rankings” were carried out – have no EdL wotsoever…come on, guys – earn your pay-cheques! 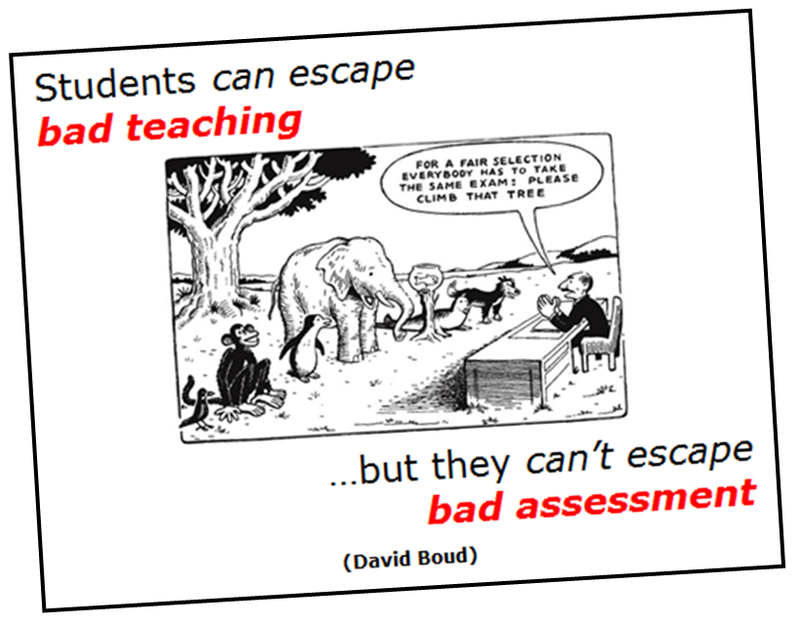 Publishers who tell educators/teacher-trainers to put on a “show” and not bother with all that “LEARNing stuff” – fail the “EdL test”…totally…! 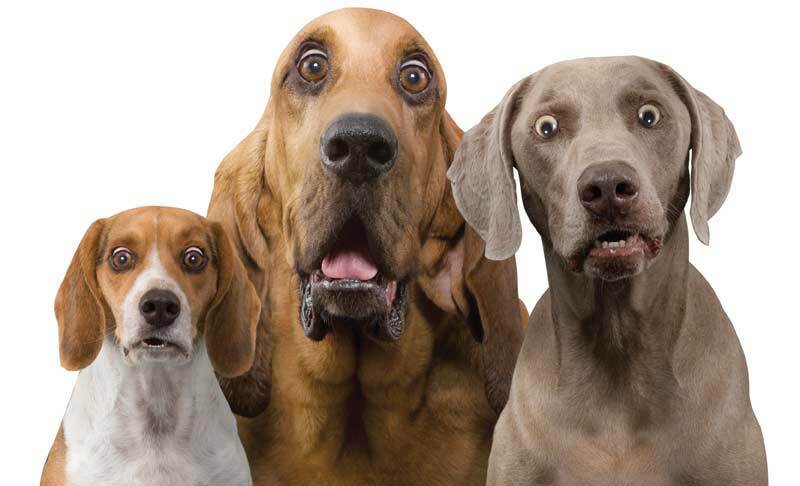 Politicians…Mmmmm…hey, who the hell said it was possible to “save every soul”!?!? 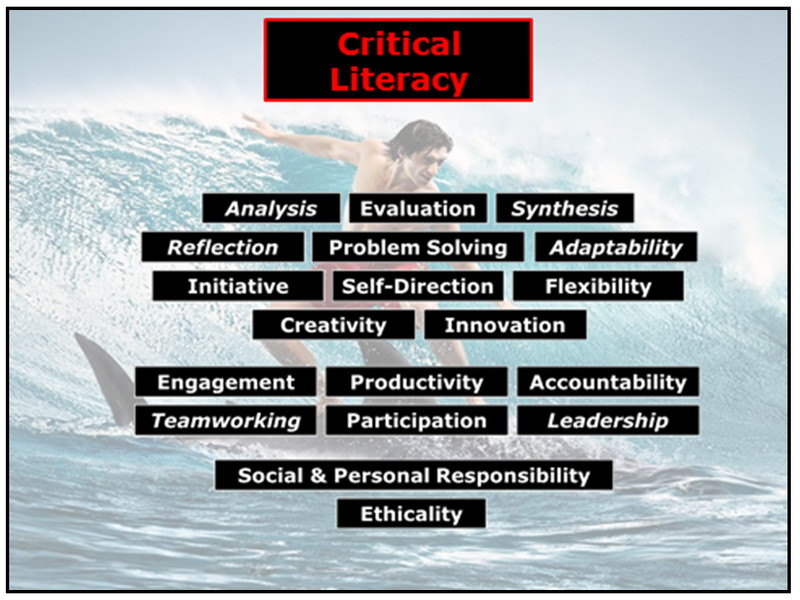 EdL is essentially “realized” (and developed or learned) through the application of Critical Literacy to allthingseducation – critical reflection as applied to LEARNing and TEACHing. 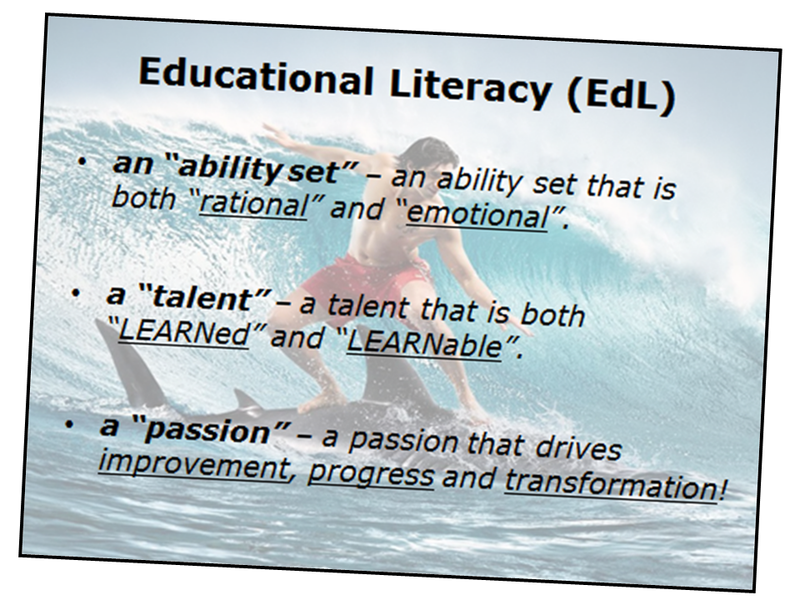 However, because of the very nature of both LEARNing and TEACHing, EdL has a powerful emotional component. EdL appreciates that EDUcation and LEARNing are fundamentally “emotional experiences” that require Emotional Intelligence (or EQ) is also brought to bear on matters of LEARNing and TEACHing. I must have missed that memo! 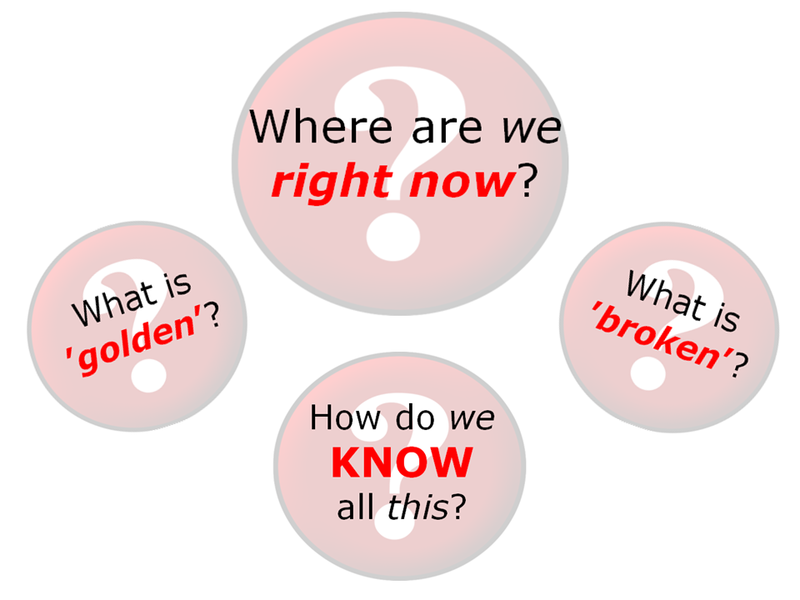 EdL thus describes what an individual (especially EDUcators) “thinks” or “knows” about EDUcation, LEARNing and TEACHing, what s/he “does” with what s/he knows and also what s/he does to “improve” what s/he knows, does and feels in regard to allthingsEDUcation. 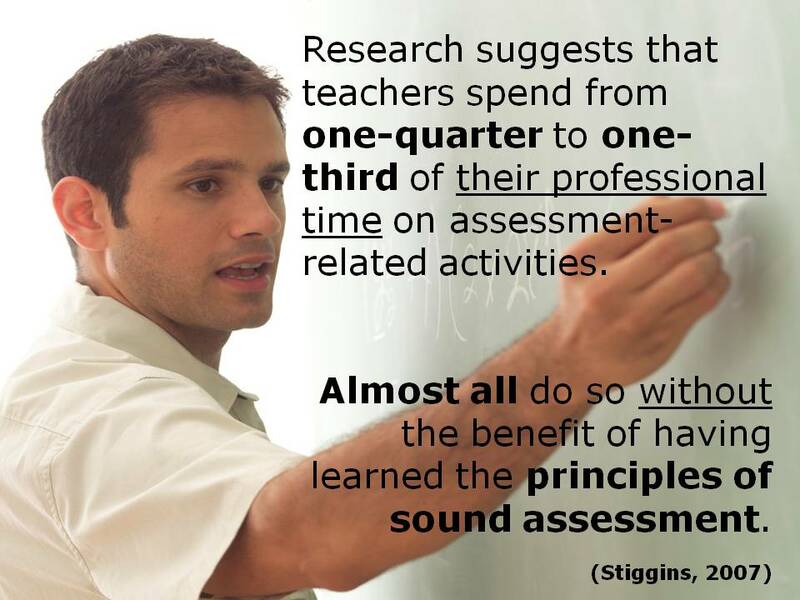 EdL also respects the role of the “professional teacher“ – and what an “effective” teacher can do with what s/he can do with what s/he knows – as such, Pedagogic Literacy is also a focus of its attention, as is Curriculum Literacy and Assessment Literacy. 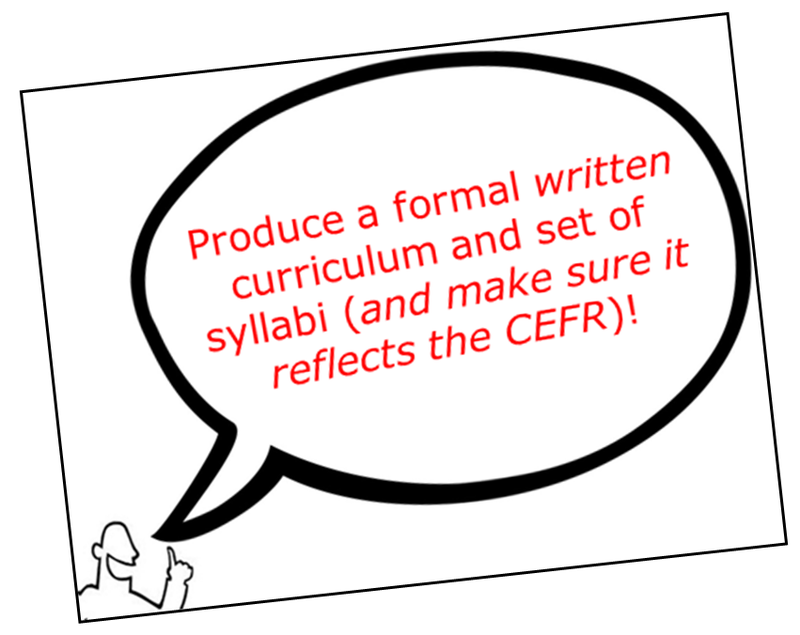 And…then…we have the matter of Curriculum Literacy! 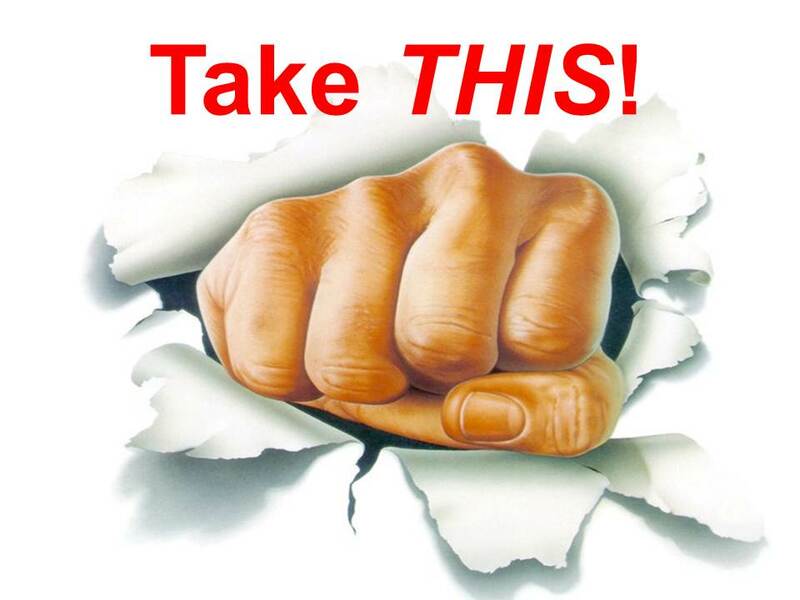 Some of you might be thunking…a postscript? That last post gave us so many good best practices to get our teeth into…actually, we’ve already got / done a few of them. All we need to do is put all the others in place! You might be right! Maybe…I should just get round to writing that book I mentioned…the one above? 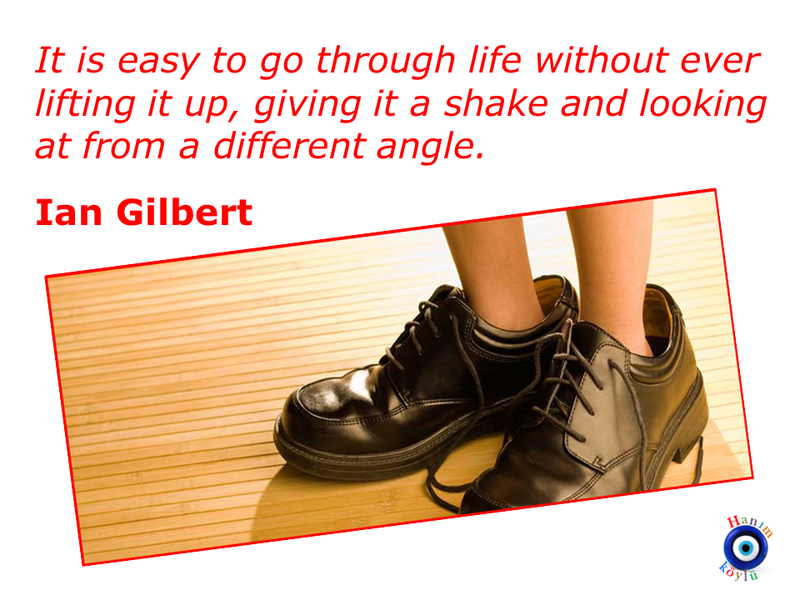 Afterall, it’s that type of advice that ‘sells’…yes? …you know, remember…we said something about ‘hazırlık’ being ‘broken’! Hey! Maybe, you could even ask a few students…for REAL? Or, you could just ask the teachers, too! 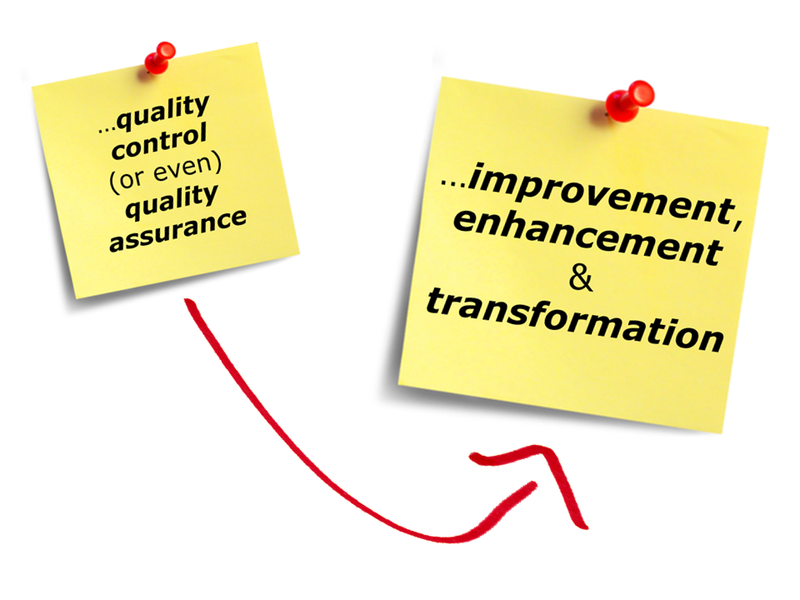 Yes, it’s that simple – that is the ‘litmus test’ for any ‘quality’ initiative or any ‘improvement’ strategy! 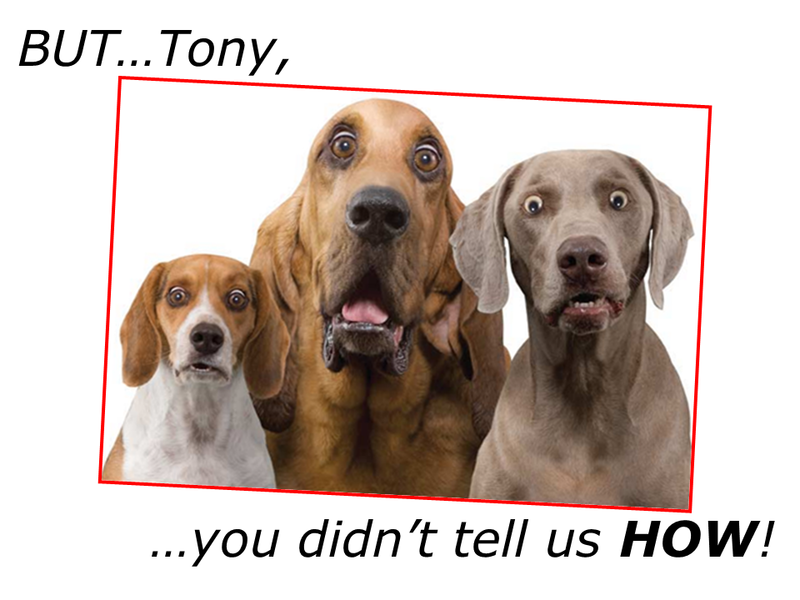 …is Tony telling us this? 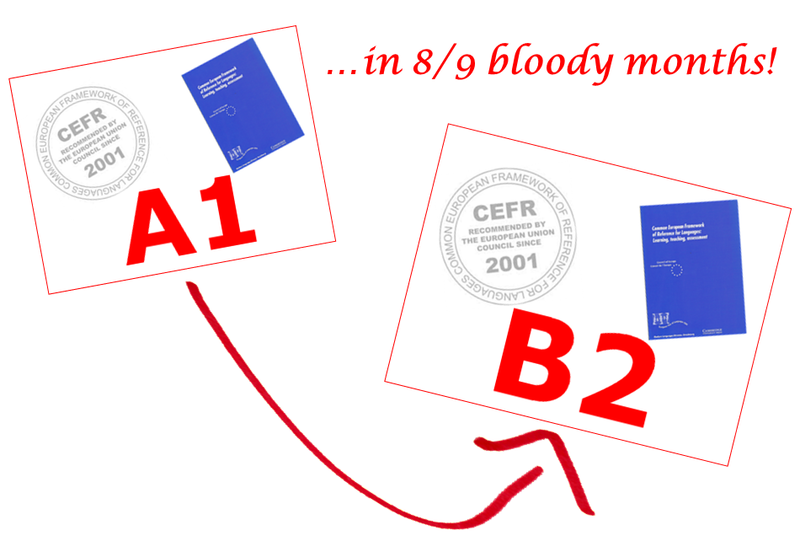 Those ‘lovely’ accreditation folks (and the expense-paid trip)…painted a very different picture! …just for a couple of hours, mind! We’re OK…now. 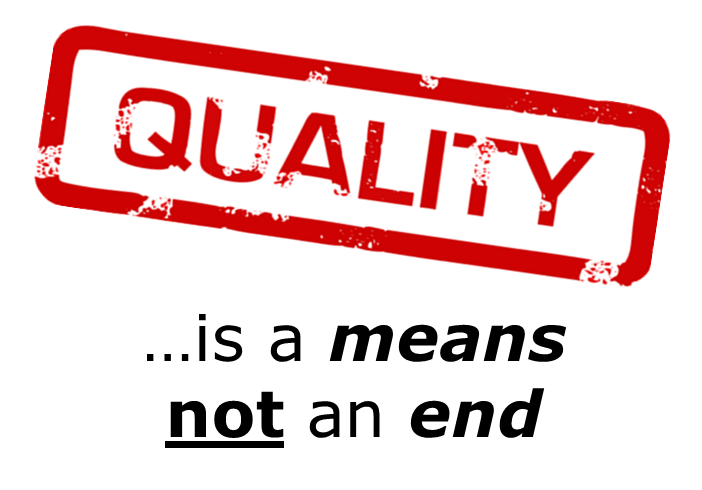 We just forgot that many of the people who put accreditation body ‘standards’ together have actually been in the ‘quality game’ for years (decades even). They have worked in schools that have built and re-invented their own traditions over time…and made many a mistake along the way! 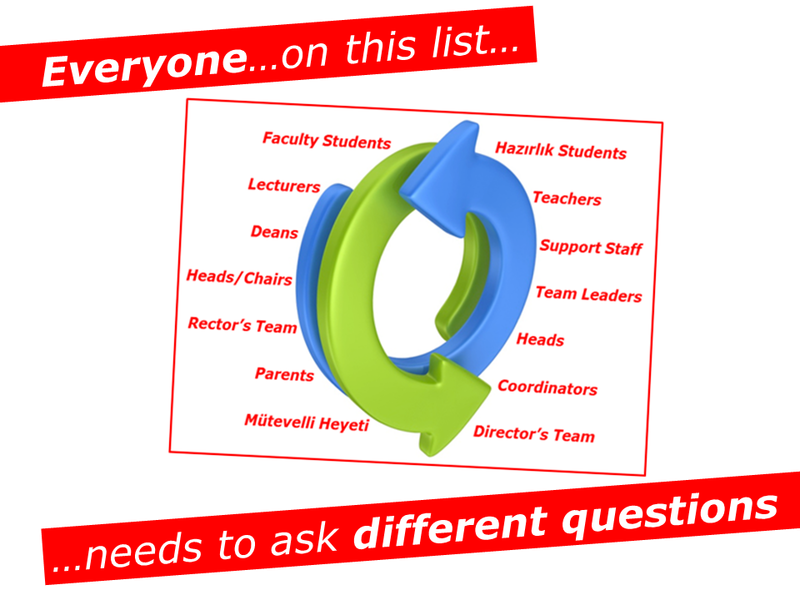 These schools have been able to grow, adapt and LEARN new ‘cultures’ – because they have created ‘thunking teams’ who asked the ‘right’ questions. 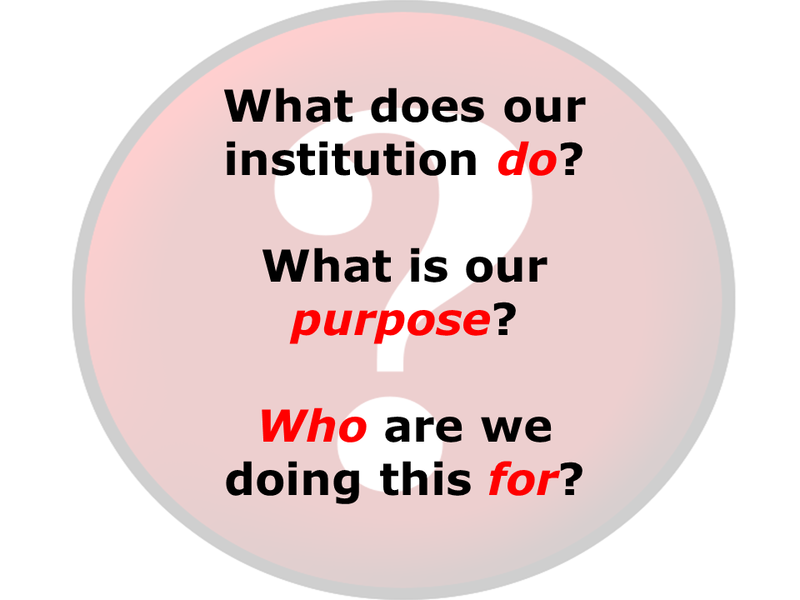 And, the answers they have ‘co-created’…led them to create the ‘communities of purpose‘ we discussed earlier. 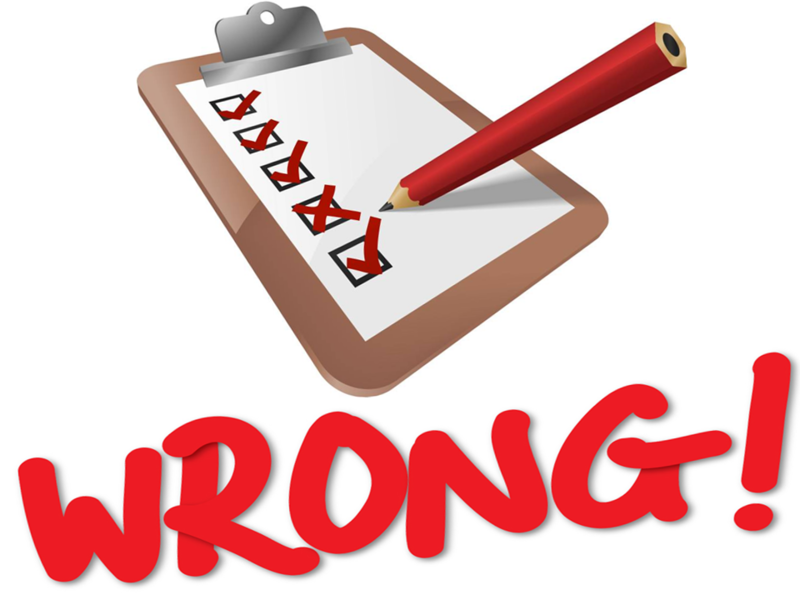 …for all the wrong reasons! …and they took the time to LEARN how to walk-their-own-talk! 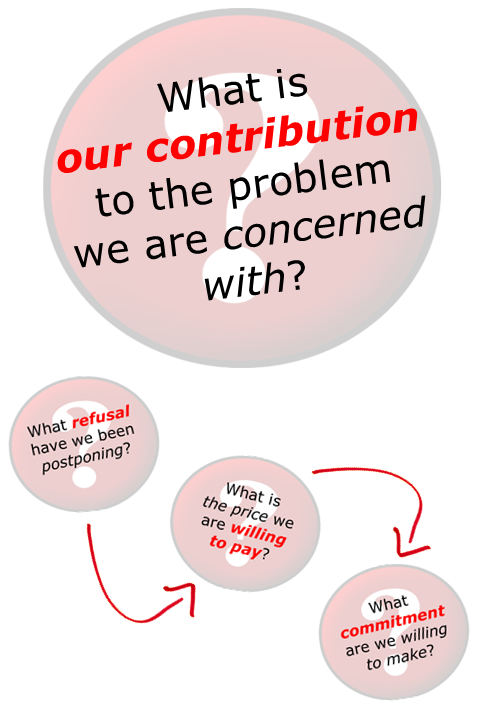 …especially if we ‘borrow’ without ‘thunking’ – or, at the very least, consider the issue of ‘fitness-for-purpose’! 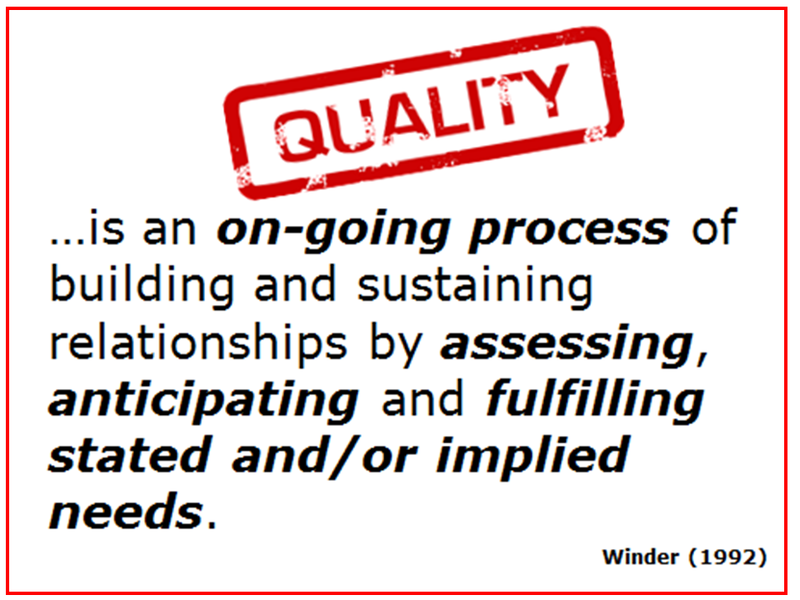 As I noted in Part 02 of this series, many of the people who created accreditation programmes asked themselves the type of questions Peter Block has suggested can help us ‘fix’ many of the challenges we face in our schools, colleges and universities. 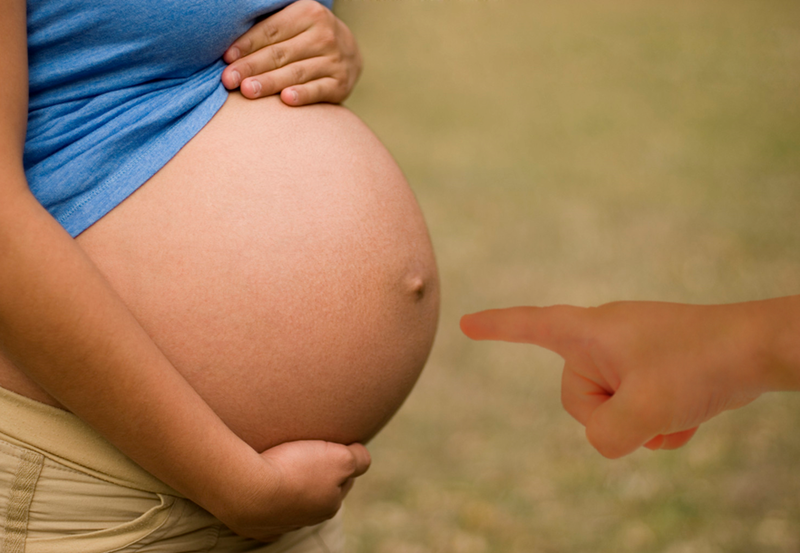 …the more, the merrier – when you thunk these over! Come on, guys! Give me a break…for crying out loud! 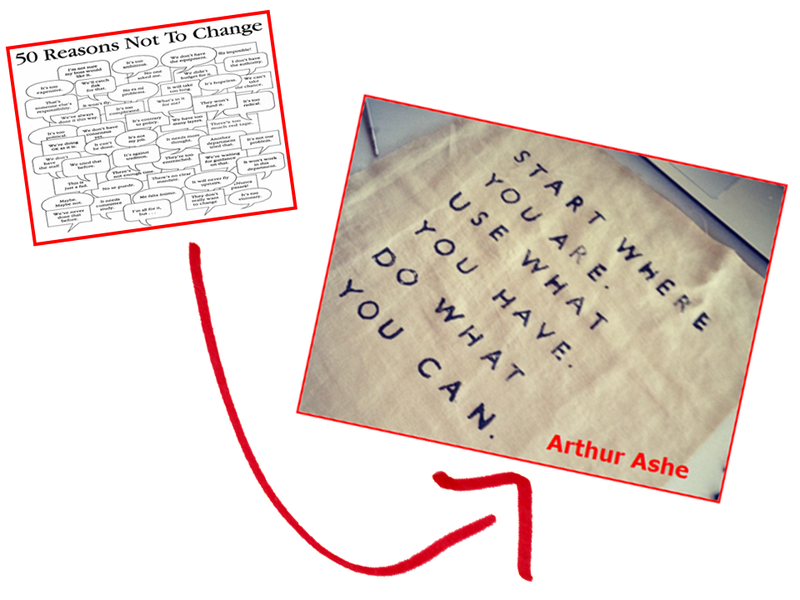 I had wanted to stick with Arthur – but my in-box overfloweth…and not with stuff that I can repeat on this blog (my daughter still reads the posts…from time to time…when I ‘bribe’ her or drop a subtle hint that I have been gossiping about her…again)! …this is what WE need in OUR hazırlık…in ELL Prep Schools across the globe! 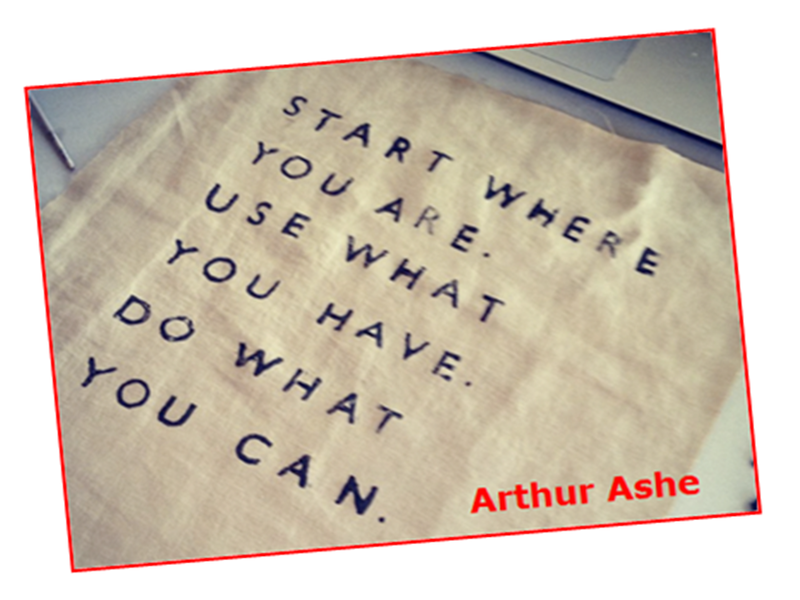 Tips n’ hints…you can use on Monday morning? OK…that was a bit rude of me! …guess I’ll be dining with Hannibal tonight! So, I sat down with some of me mates…and we came up with a few ideas…for you all. 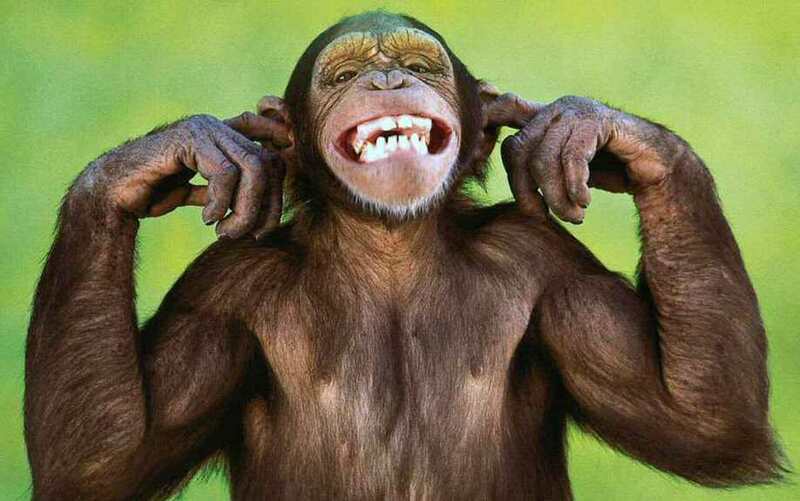 …NO, this does NOT mean you are ‘dummies’ – some of you are soooooo sensitive! Now, there’s one that can go on everyone’s list! This little lot should keep us busy…till Thursday! 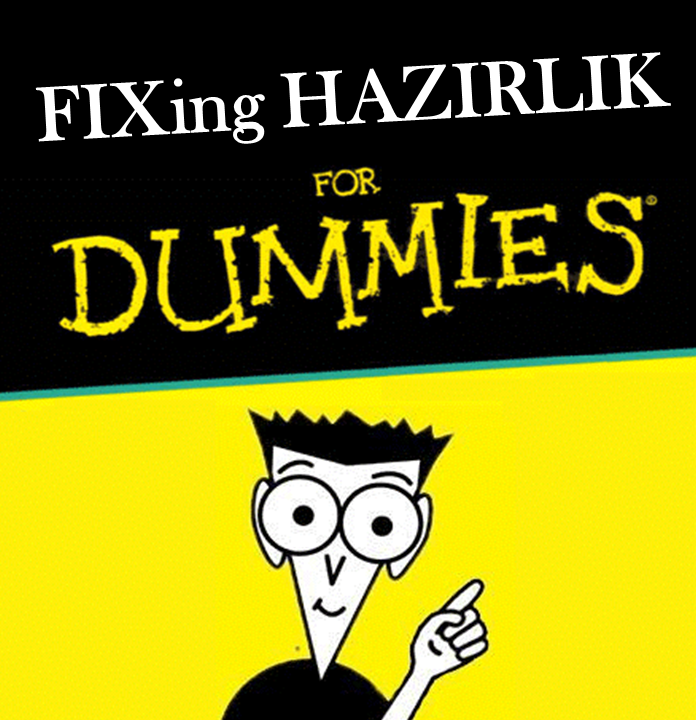 That’s how WE fix OUR hazırlık programmes, yes? Me thunks…I need a post-script! 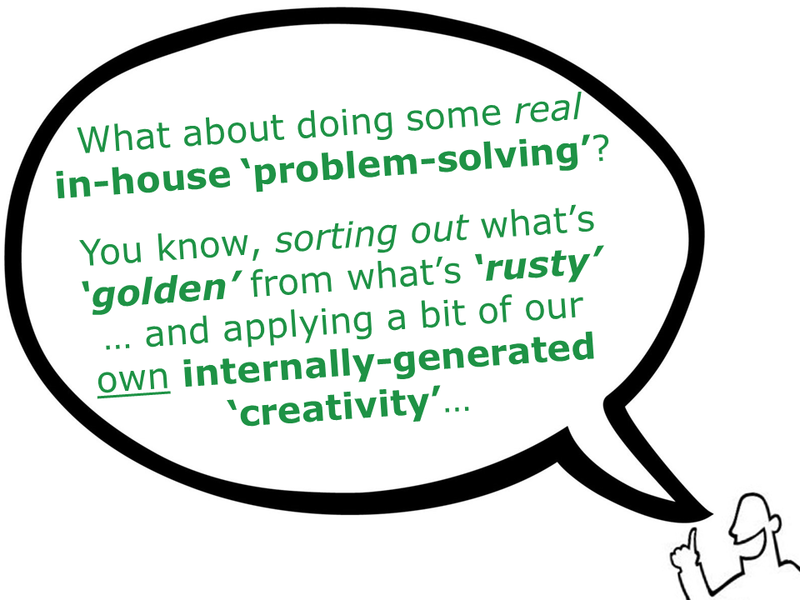 If ever there was a recipe (or ‘magic bullet’…even) for ‘fixing’ something that would be it! In truth…cos that’s what I’m doing a lot of these days…I did not know much about Arthur (we didn’t ‘do’ tennis where I was dragged up)! It was this very quote, a few years back, that made me take note of his life, character and courage – I soooo get (now) why he is referred to as ‘the Eternal Example’ (and why some citizens of ‘my’ canım Türkiyem also hold him in such high regard). 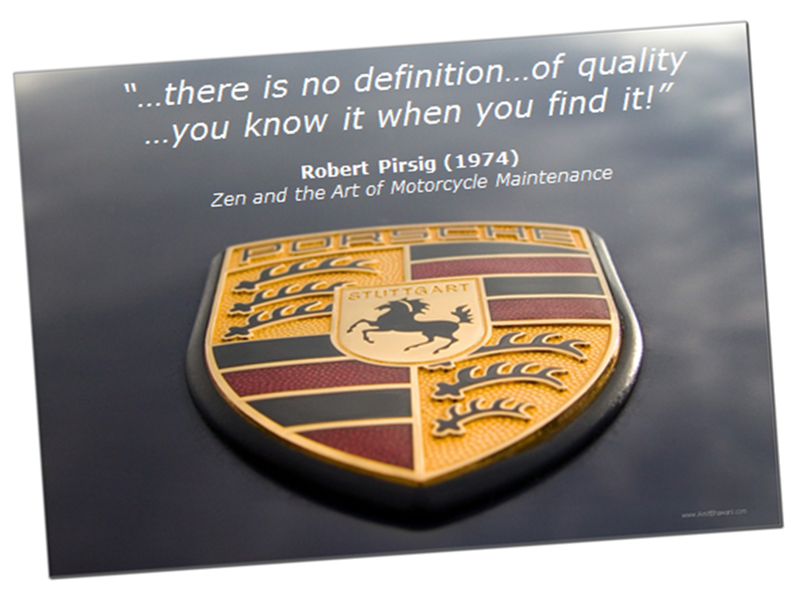 It is just…such a pity so many educational institutions (and their ‘leaders’ or ‘in-house experts’), consultants (especially those so-called ‘quality consultants’) and ‘national educational bodies’ have not taken Arthur as their example. I wasn’t planning to launch into another rant – promise! 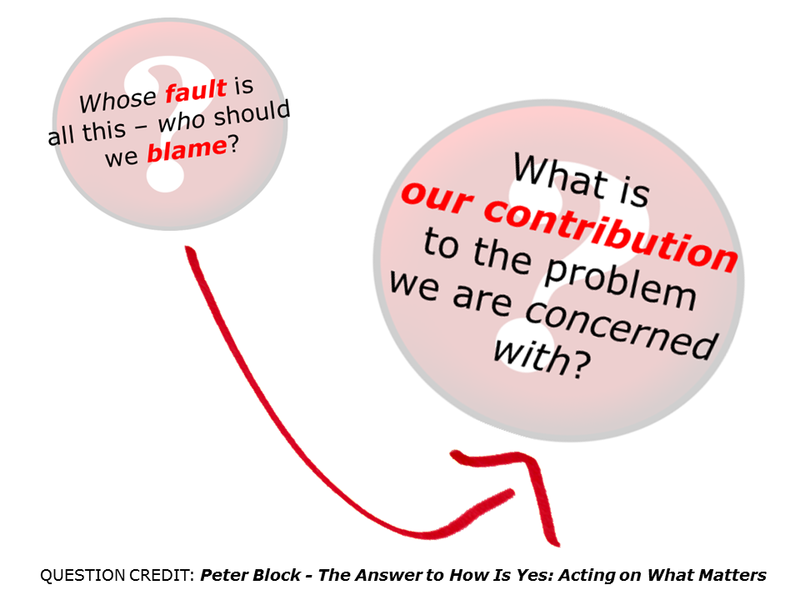 It’s just that the ideas of Arthur and Peter (whose questions we looked at in the last post) are most often ‘blocked’ by the blame game…or rather those that play the blame game (as well as those that are blamed) – people! 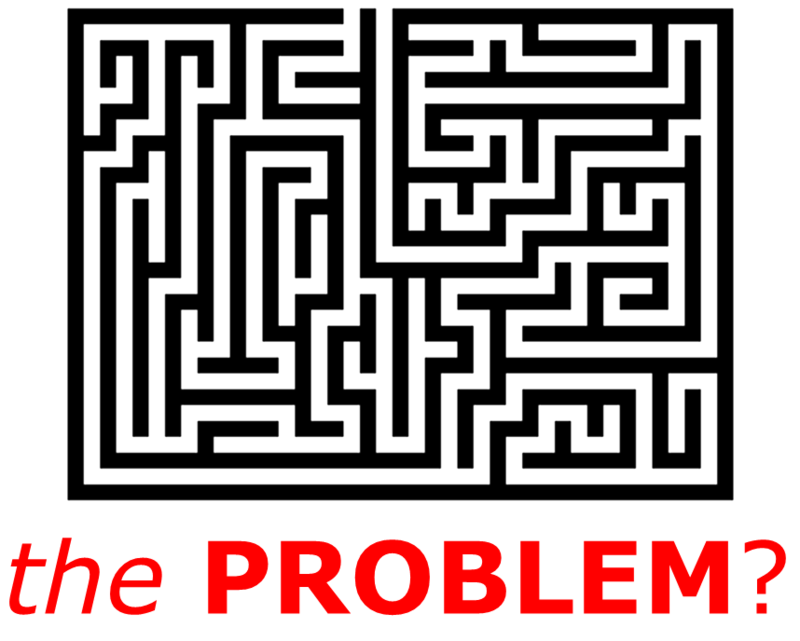 You see…many of the problems we have in our hazırlık schools basically come down to the people that ‘live’ in our universities…and the reason these problems have not been ‘fixed’ is because…these people ain’t fixed them. …or their KNOWLEDGE, or their SKILL SET…or their EGO! Hazırlık schools form part of a wider university community (though you would never know this by the way many academics and lecturers ‘look down’ on hazırlik staff and their LEARNers)…and a much wider academic community (on a national level). 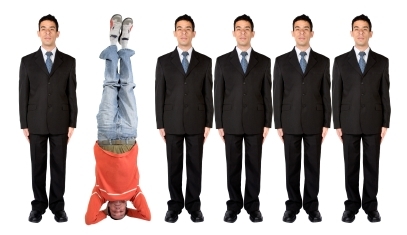 Ego plays a big role in such communities – and, sadly, these communities are (as a result) not too good at all this LEARNing stuff…and working together! 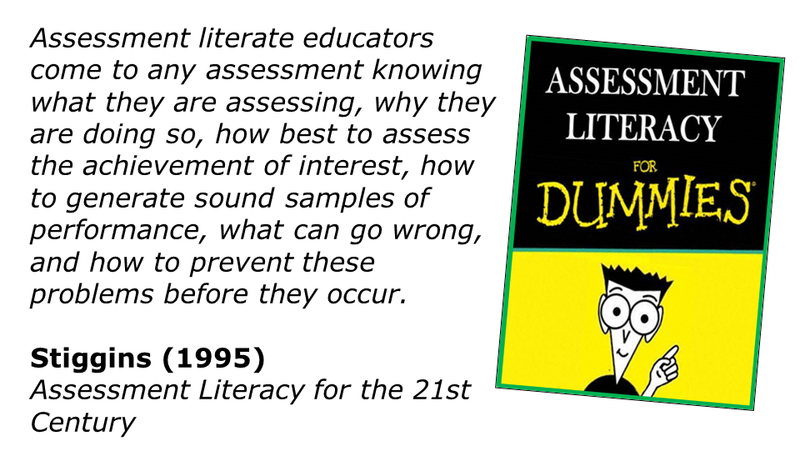 The Academic Community (and its educators), for the most part, actually see LEARNing (the type they have to do…for themselves) as an ‘admission of ignorance’. Being seen not to KNOW something about something is almost as bad as not being published in, say, the last 3 years! 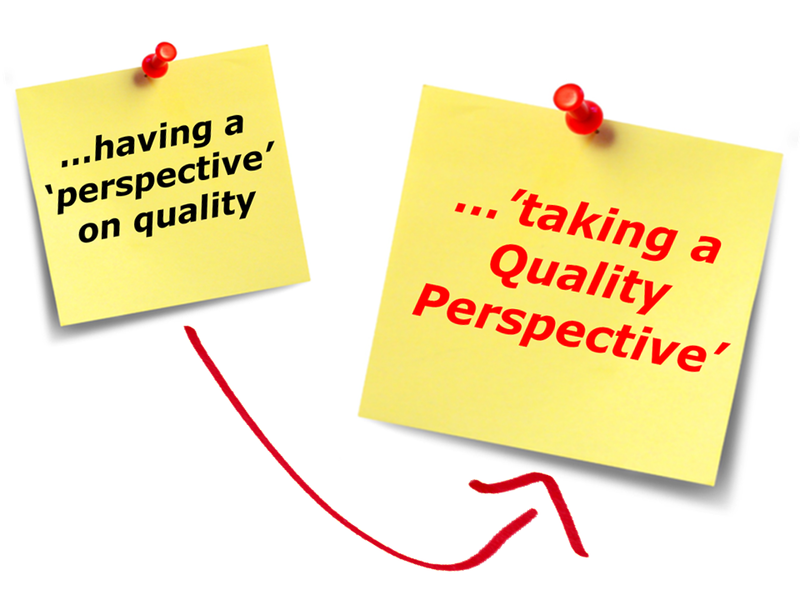 This is why so many professors (despite being an ‘expert’ in a very narrow specialty that very few others really care about) suddenly become ‘accreditation experts’ when asked a little question about ‘quality in education’. Isn’t the internet a great ‘research tool’? 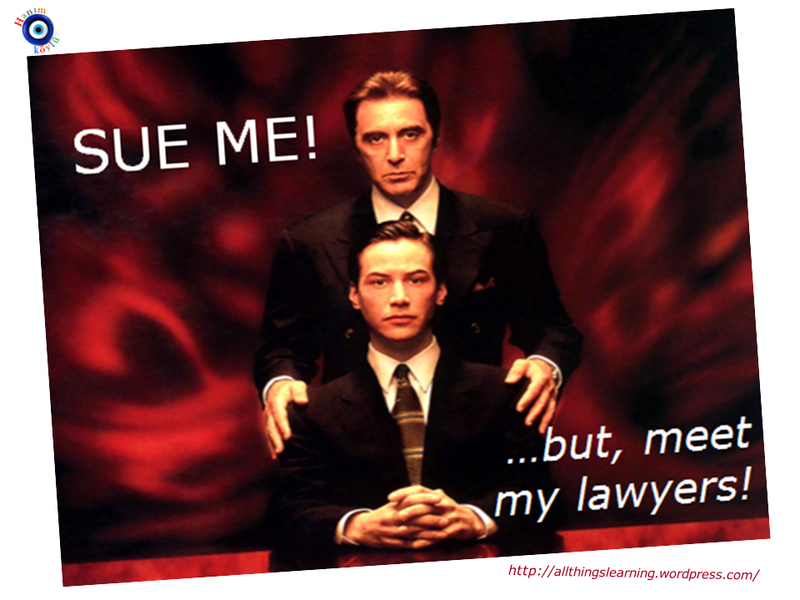 When it comes to language LEARNing, everyone becomes an expert in a ‘flash’ (and an even better finger-pointer) – despite the fact that very few academics or lecturers have taken a methodology course, reflected on their own teaching methods with the help of a peer observer (or a video camera)…or even developed an outcomes-based curriculum model (let alone align this to a framework like the CEFR) – just take a look at all the cut n’ paste jobbies that pass as ‘Bologna compliant documents’ these days! Sure, we hear lots of lecturers and chairs talking about their own language LEARNing experiences…“when I was in the States” – but is really isn’t the same as teaching in a hazırlık school in big, bad İstanbul, is it now? Neither does it help when Rectors and their Deans explain that all language LEARNers (and their teachers) really need is a textbook from the 1970s (the one they used), a pencil and that vocabulary list from you-know-where (also from the 70s…or was it the mid-80s)! 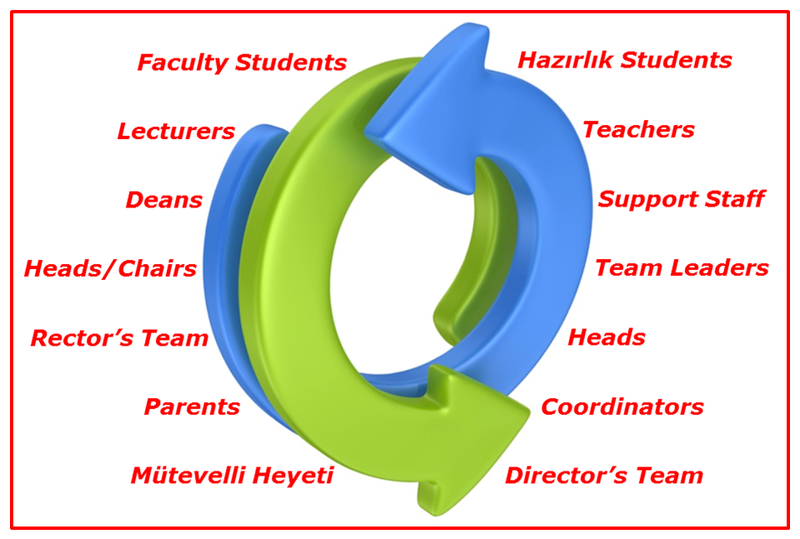 Many of the guys charged with running our hazırlık schools are not much better at all this ‘collaboration stuff’ either. 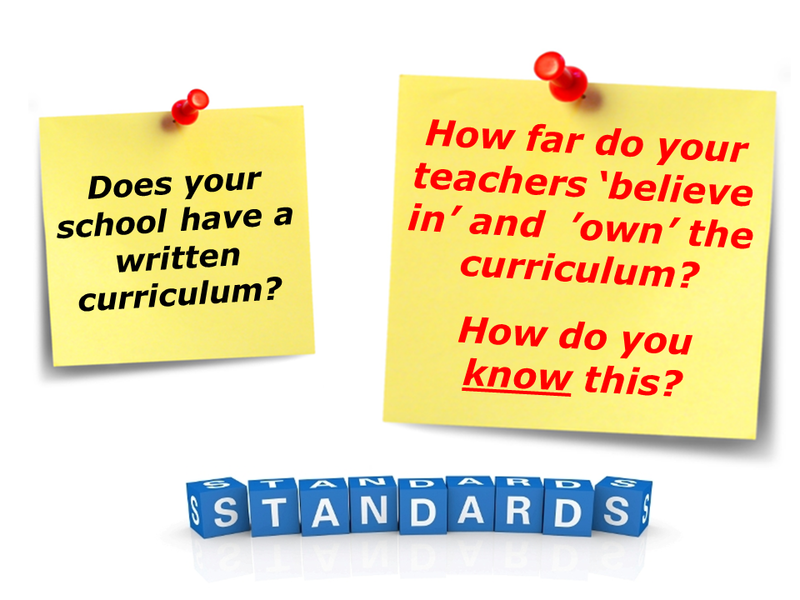 I mean forget not having a curriculum for a minute (just a minute mind)…many have not even bothered to find out what their LEARNers actually need to do with what they LEARN about English when they get to faculty (let alone ‘sit’ through a lecture or tutorial session). It’s almost as if they do not know that most of their students are there to do departmental studies in English (!) – not LEARN about what Mr and Mrs Brown ‘used to do’ before retirement …besides, who needs to conduct a ‘needs analysis’ – we bloody well know what they need, don’t we Raymond? It’s really OK…not to KNOW something. LEARNing…real LEARNing…within a community (as an active decision-maker in that community) is one of the best ways to ‘fix’ anything! We can move mountains…together! 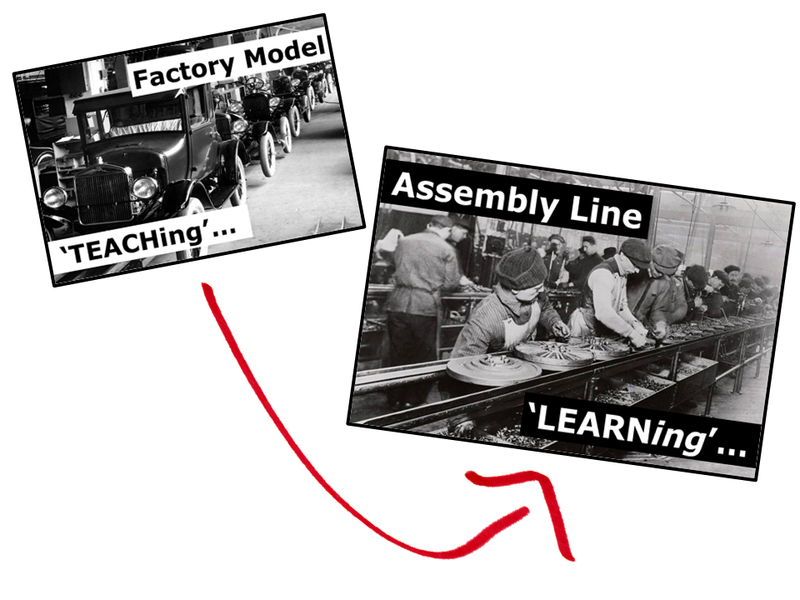 It’s not OK…to not LEARN…especially when that LEARNing can help the institution and its LEARNers – and (instead) ‘choose’ to play the blame game. 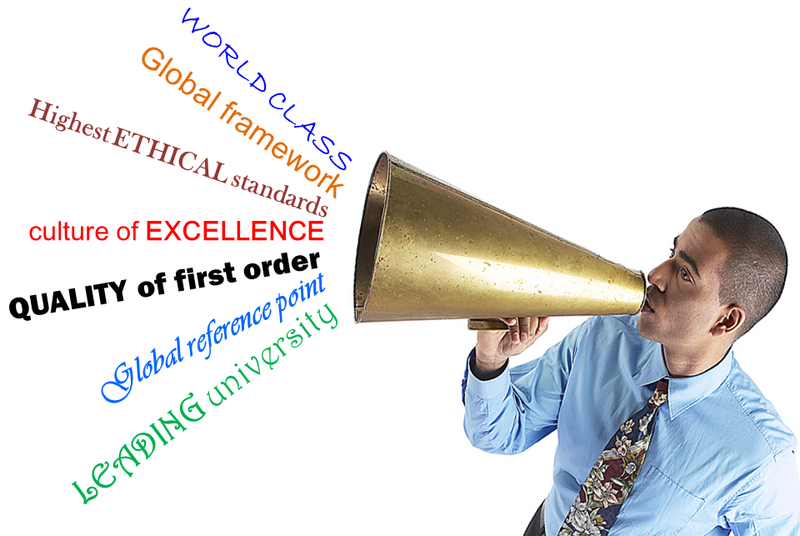 …the same as most academic communities all over the globe! 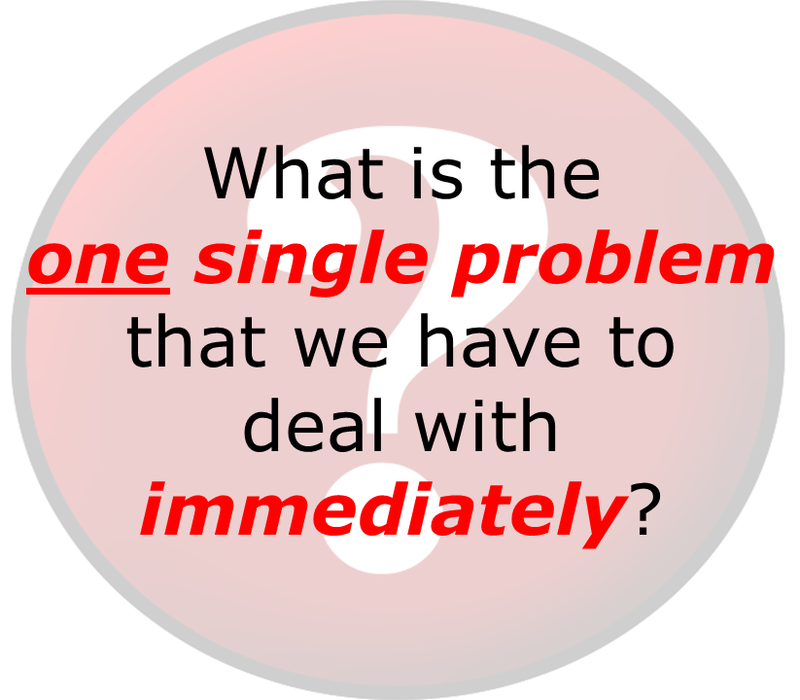 Bearing that little thunk in mind…it becomes eminently clear that no single person (even if she is the ‘Director-from-heaven’) can ‘fix’ all of the problems we have been looking at in the last few posts. A hazırlık school cannot solve its problems in isolation from the rest of a university – and it should not be expected to! …or be expected to ‘fix’ stuff…while there is so much dumb, uninformed, cookie-cutter decision-making going on around the Mütevelli Heyeti meeting room table! 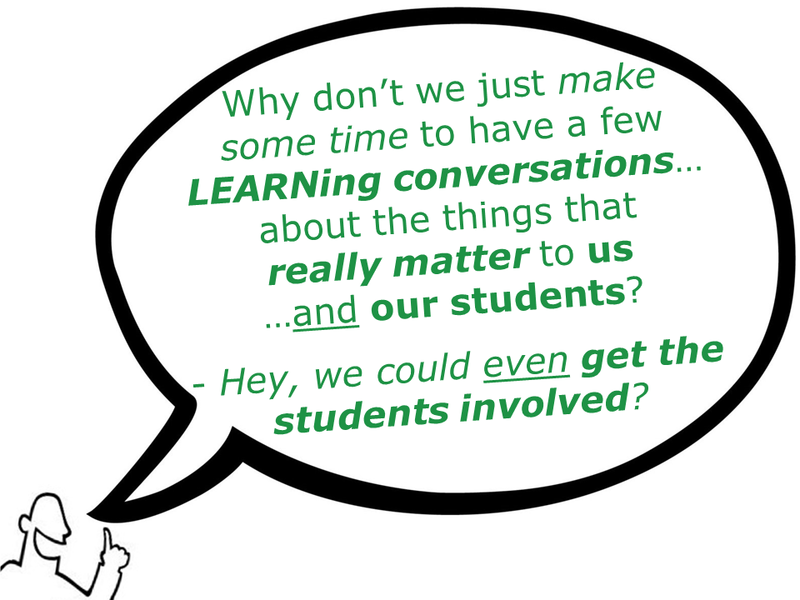 Yes, I am still talking about increasing contact hours…as a means to improve the quality of student LEARNing! Just as it ‘takes a village to raise a child’, it takes every single member of a university community to produce a successful graduate (especially from a school that markets itself as an English-medium university)! These graduates (regardless of which ‘stage’ of their ‘university career’ they are at) ‘belong’ to all of us – their LEARNing is what should guide our decision-making. 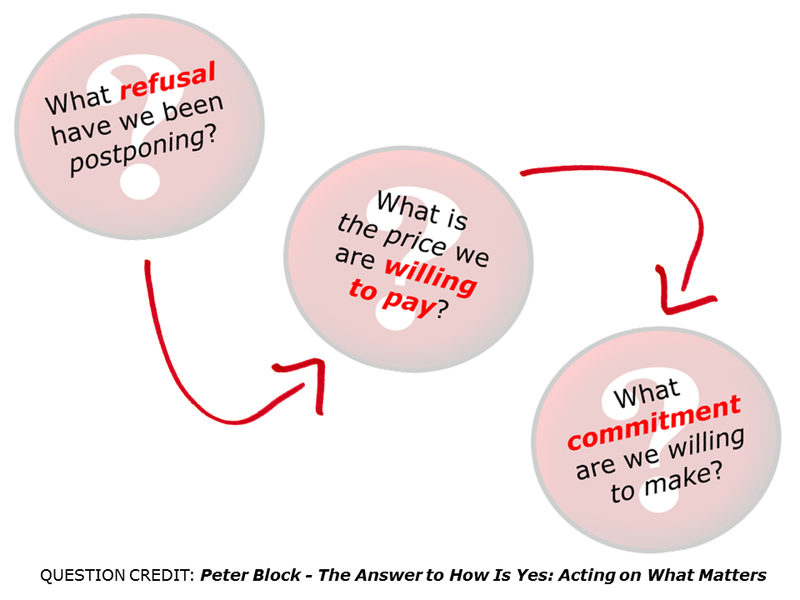 What Peter (and Arthur, too – even though he did not play a ‘team sport’ either) was basically saying was that the questions he proposes…have to be answered by all those involved in a given community…and that all members of that community play whatever role they can in getting things back on track! …and, yes…I know I have probably missed a few! …can only be effectively addressed when all members of the community speak the same language…are on the same page – (and) speaking (and listening) to eachother might be a good way to start! And, that’s because a community-that-is-not-really-a-community ain’t gonna be able to do much ‘fixing’ at all! …just ain’t gonna do it for our hazırlık woes, don’t we? To do that (and you are all gonna hate me for this)…we need a ‘Community of Purpose‘ (or even a community with a ‘common’ purpose…esp. 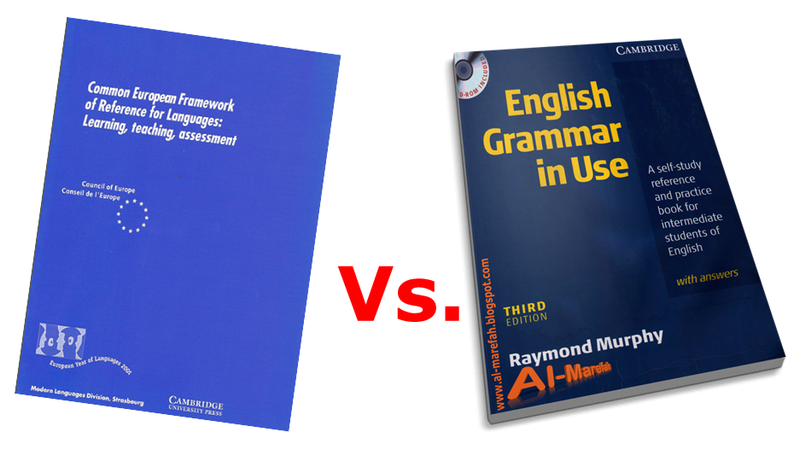 with English-medium, university LEARNing). …around a table (yes, the SAME table)! FIXing stuff in this kinda environment would be so much easier…don’t you thunk? 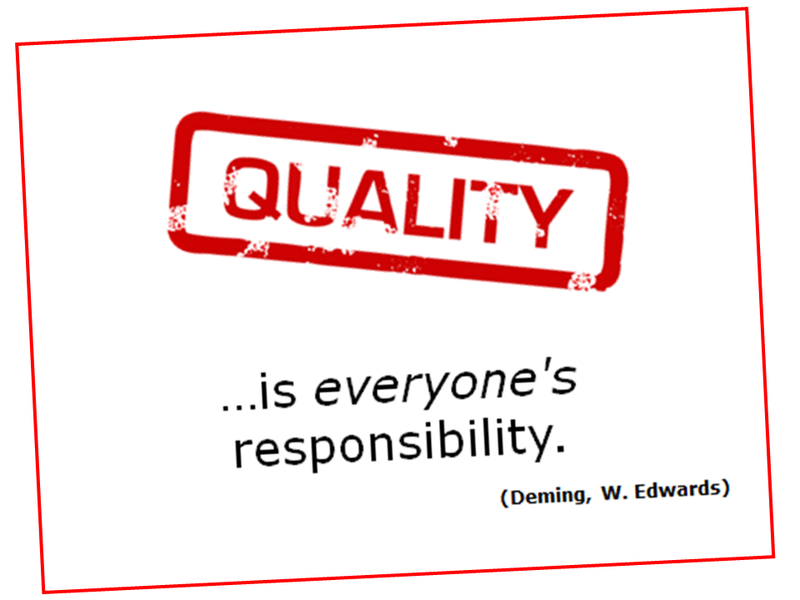 If you knocked on the door of all of the 175+ institutions of ‘higher LEARNing’ (HEIs) we have here in canım Türkiyem, you’d be pushed to find ONE that would publicly disagree with the words of Jedi Quality Master Deming! 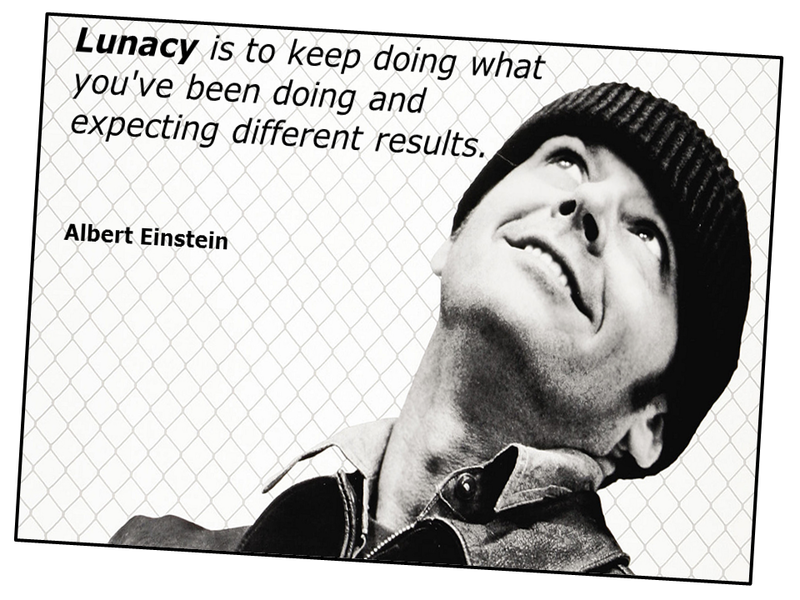 Oh, yes…and ‘DIFFERENT’…gotta be ‘DIFFERENT’! 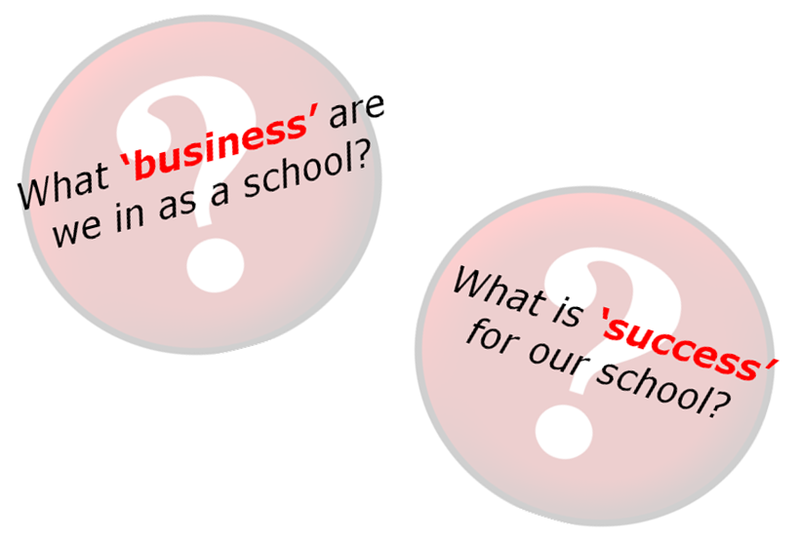 I mean afterall…what parent would want to send their darling, little Arca (or Ayşe) or Dogükan (or Ali) to a university that proclaims it wants to be a pretty ‘average’ school…or worse…is prepared to wash all its dirty linen in public – for the sake of student LEARNing! 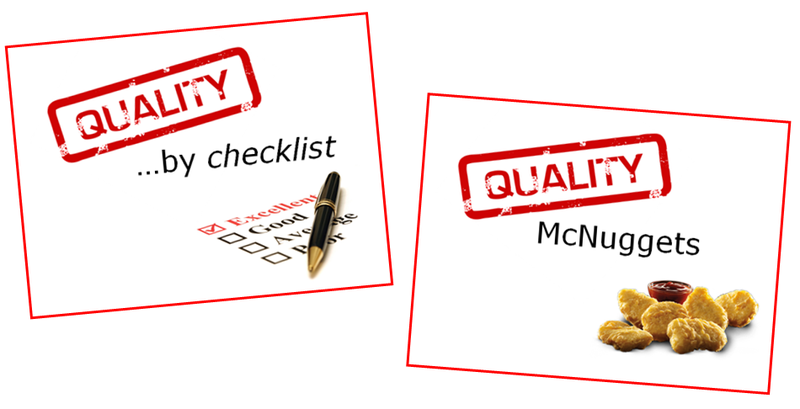 If you are planning to choose a university for the fruit of your loins over the next few months, why not visit and ask the schools to ‘define’ what quality means to them – seriously! …one of them might actually listen to you! 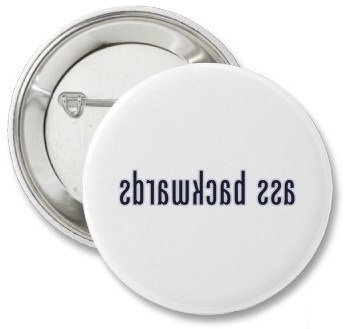 …push them – ‘cos these schools do love their ‘smoke and mirrors’! 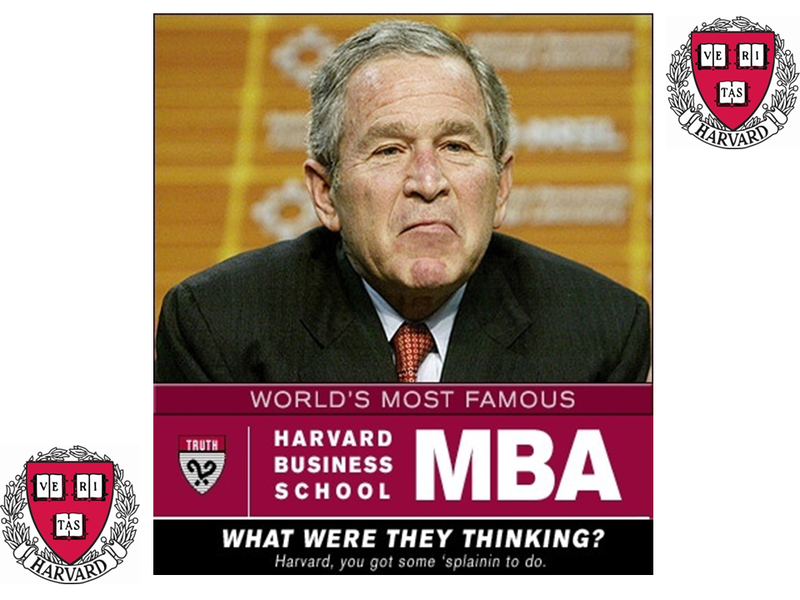 …these universities are pretty good at the old ‘alıntı, çalıntı and miş-gibi yapmak’ business! 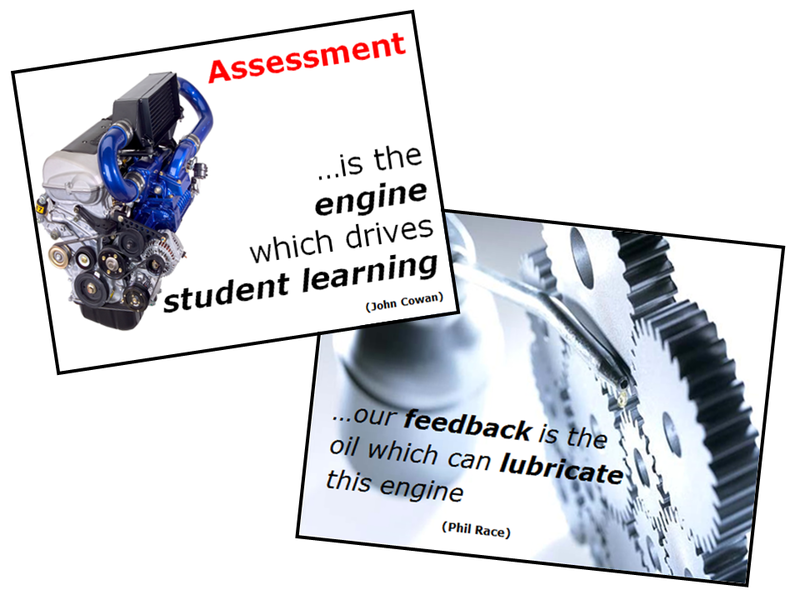 If you do get a reply like this (miracles do happen – and there might be a ‘quality team’ out there that actually does their ‘homework’), ask them how they actually assess the needs of their students and how these needs are used to develop and renew the curricular they use – you know, to align what is ‘taught’ with what students are supposed to be able to do with what they LEARN…and keep on LEARNing after they graduate! If the school is an English-medium school (a HUGE ‘selling point’ for most Turkish universities), ask them how their departmental academics communicate with the hazırlık team (and ‘how often’) – to ensure that the ELL programmes at the university are relevant, meaningful and motivating. 1) Increase the number of contact hours that the teachers in hazırlık are expected to do each week! 2) Increase the average class size across their hazırlık programmes! 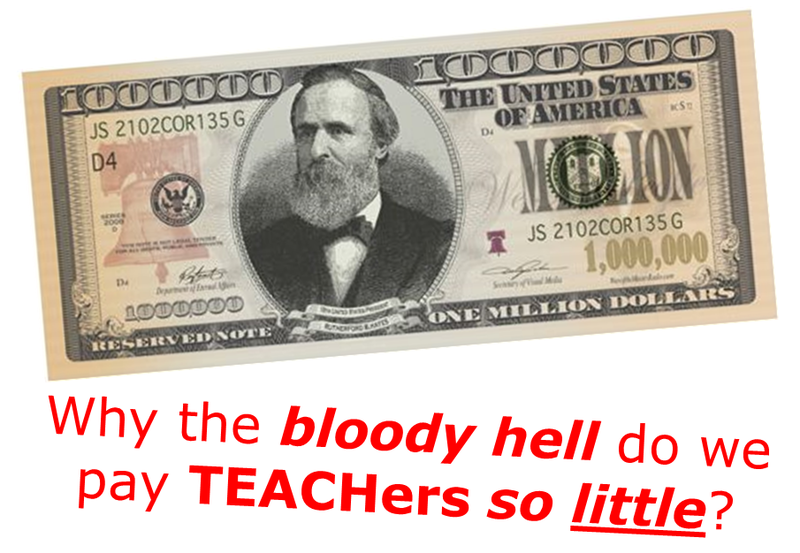 3) Increase the (sad, sad) salaries that most hazırlık teachers are paid! OK, that was a bit unfair of me…but, in my defence, my inbox is overflowing with mails from schools around the country since I started this little ‘dizi‘ – and they ain’t about pay increases, I’ll tell you that much! 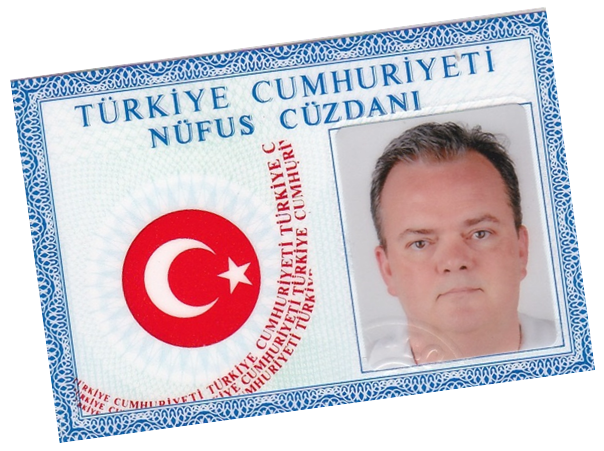 However (and I will run down Atatürk Bulvarı…and pretty soon…İstiklâl Caddesi…naked – yes, in my birthday suit), if the Rector or Mütivelli Heyeti Başkanı (Chairman of the Board of Trustees) has not also (recently) told the Hazırlık Director at these schools to ‘get accredited’– and sharpish! BTW…if I ‘disappear’ over the next few days, the first people who should be questioned are all those ‘educators’ that carry the heady title Mütivelli Heyeti Başkanı – especially the ones that have ‘interests’ in construction, furniture and paper-products, as well as anyone that owns a ‘dershane’ (yes, I know that’s a long list of suspects)! 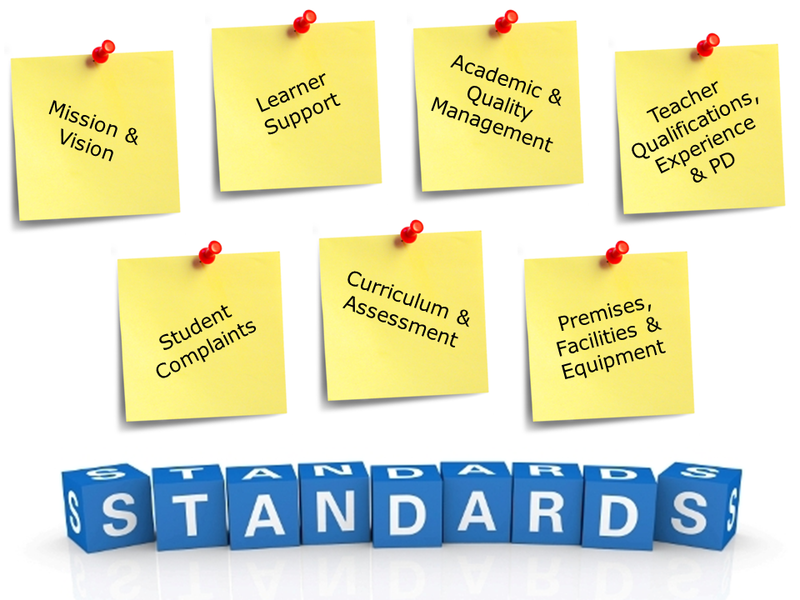 Don’t get me wrong…I am not against accreditation bodies or standards – quite the opposite! 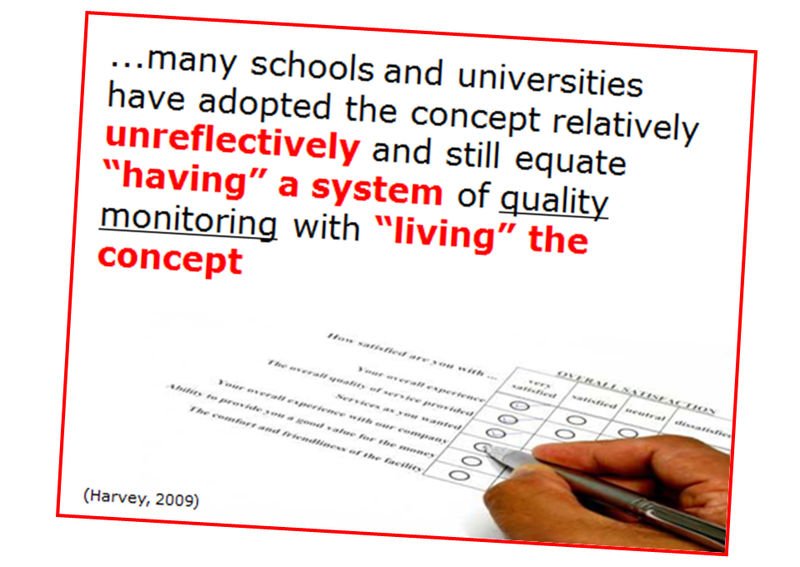 …rather than LEARNing – of both the student and institutional variety! You see…it doesn’t really matter what a university (or hazırlık school, for that matter) says about itself! 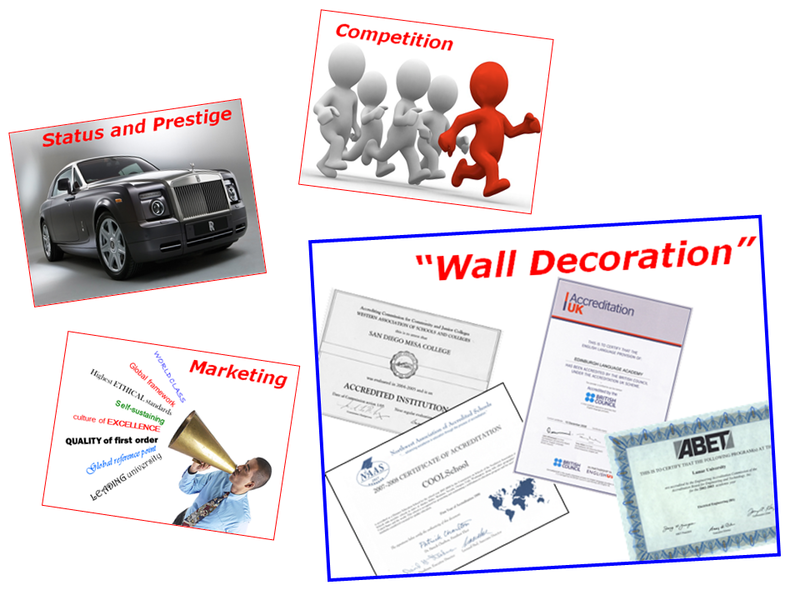 What matters (and I mean really matters) is what others say about how you ‘do business’! 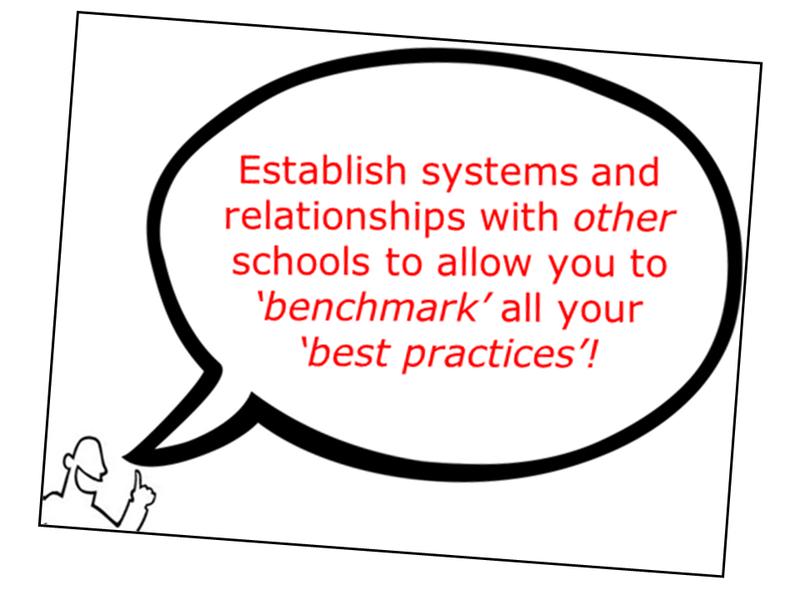 So, tell me again…how EXACTLY will increasing teacher contact hours…improve QUALITY and STANDARDS? 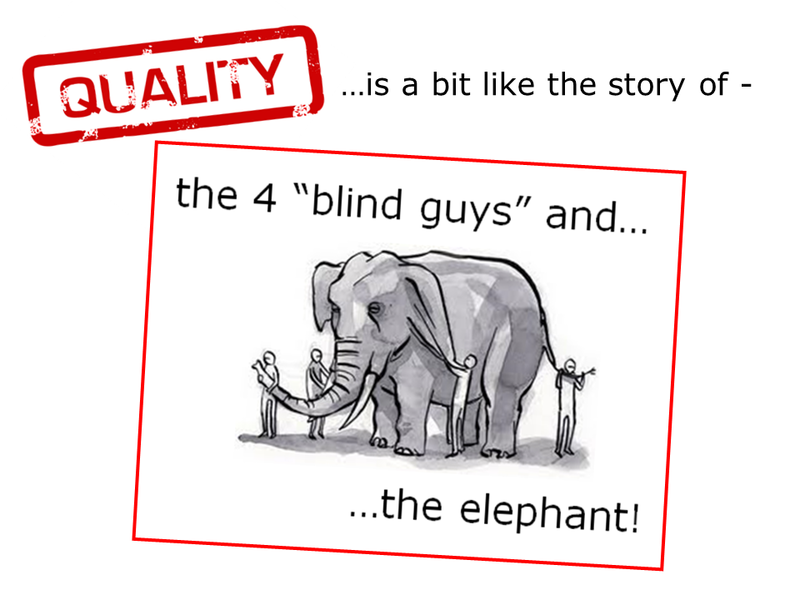 …even our educational ‘giants’ screw up! 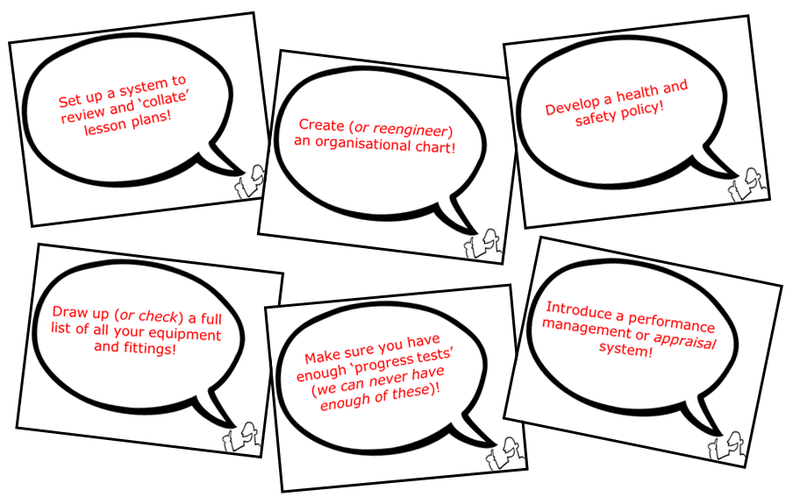 …to be ‘ticked off’ on some silly checklist! 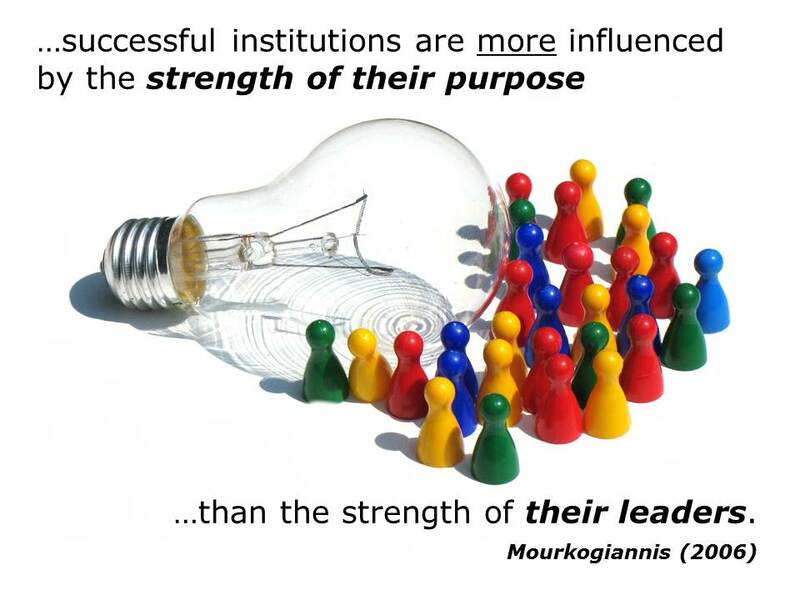 Our ‘institutions of higher LEARNing’…need to ‘get real’…they need to ‘get together’ (across the ‘whole career’ of our LEARNers – not disciplinary lines)…they need to ‘get informed’ (and really inform ‘others’ – not engage in shameless self-promotion) about what matters in allthingsquality – more, they need to ‘get consistent’! …and you can take that to the IMF! But, hey…what the hell do I know? My citation index in the field of allthingsengineering is pretty crap – and, worse than that…I’ve never owned a software firm…or…construction company! 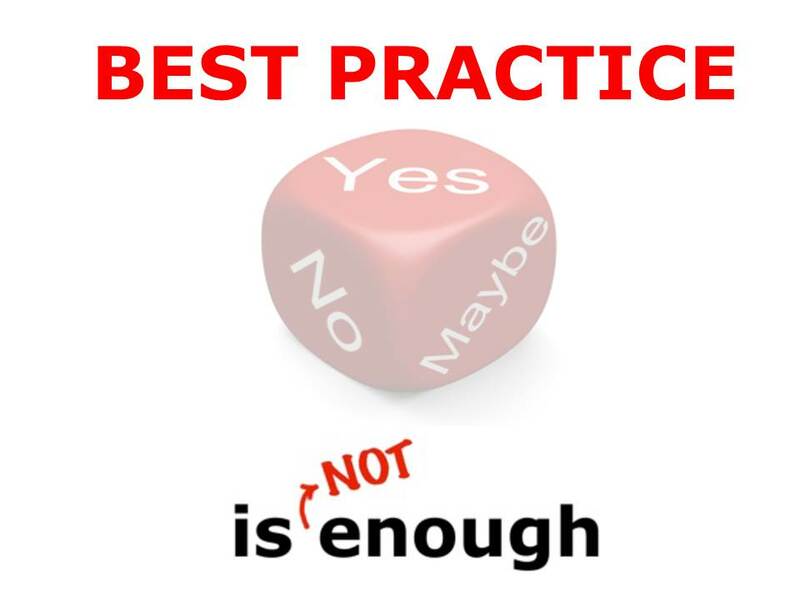 The New Year is “nigh”…and my inbox has been filling up with notifications to check out the latest “Top 10 List of 2012” and…a few, just a few, posts on best practice in “goal-setting” for 2013. I say only a “few” posts on goals and targets because…well, it seems more than a few of us are more interested in “looking back” than “looking forward”. 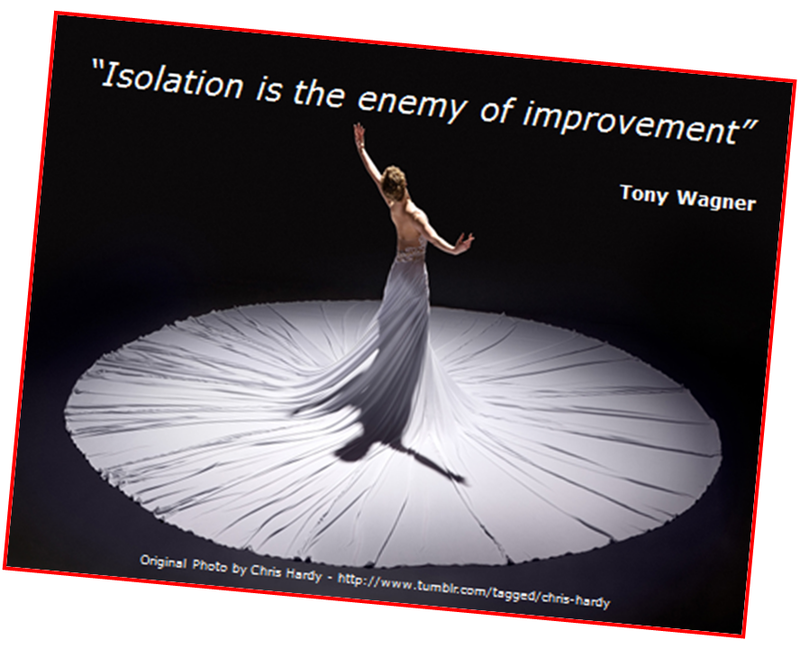 Maybe, that’s all part of the “quiet reflection” needed to get us to the “effective action” that Peter Drucker (and Shelly Terrell) were talking about this morning. 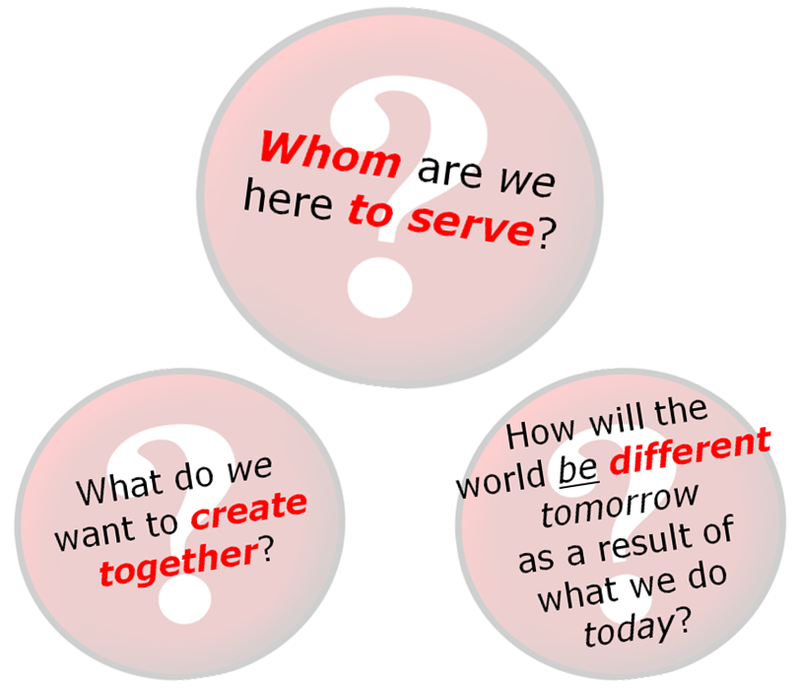 …it is “looking forward” and the “effective action” we plan for 2013 that is the key. This is why I was so keen to look at these posts on “goal setting” – especially, all that “SMART goal-setting” EDUfolk are talking about. Now, if you are not up-to-speed on goal-setting – it’s all about PLANNING. The “SMART” version of goal-setting is all about doing that PLANNING – “RIGHT”! Yani, if you do not “plan RIGHT”…you are “plain DUMB”! Am I really? Shirously? 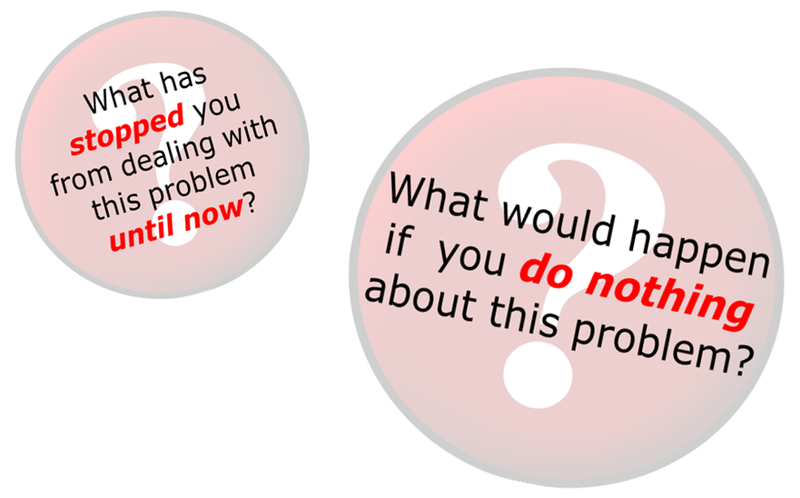 You’ll be “asking” for something soon…good luck with that! SMART is an acronym (an acronym we, in EDUcation, “borrowed” from the world of “busyness”). 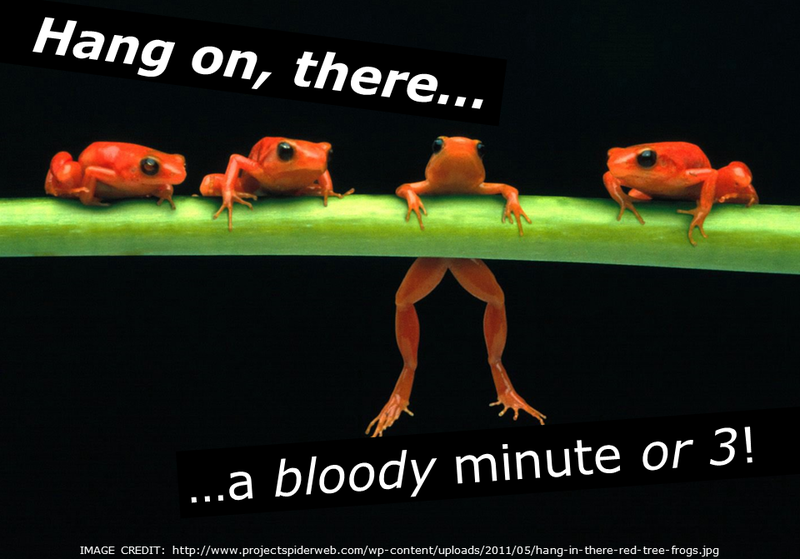 “Busyness?” – yes, just hold that thunk for a second or three! 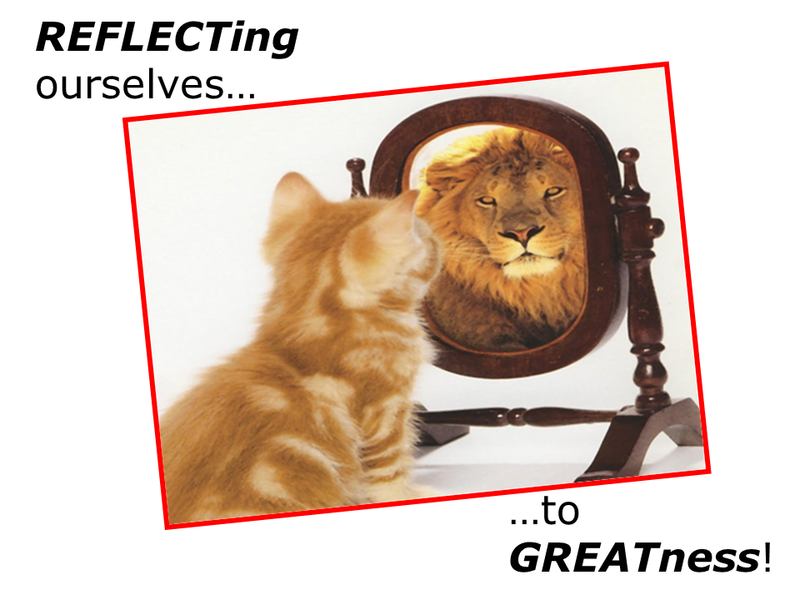 OK – …the “realistic” is often swapped around for “relevant” (and “time-bound” is frequently selected over “timely“)…but that’s just the small stuff we do not need to “sweat” too much! 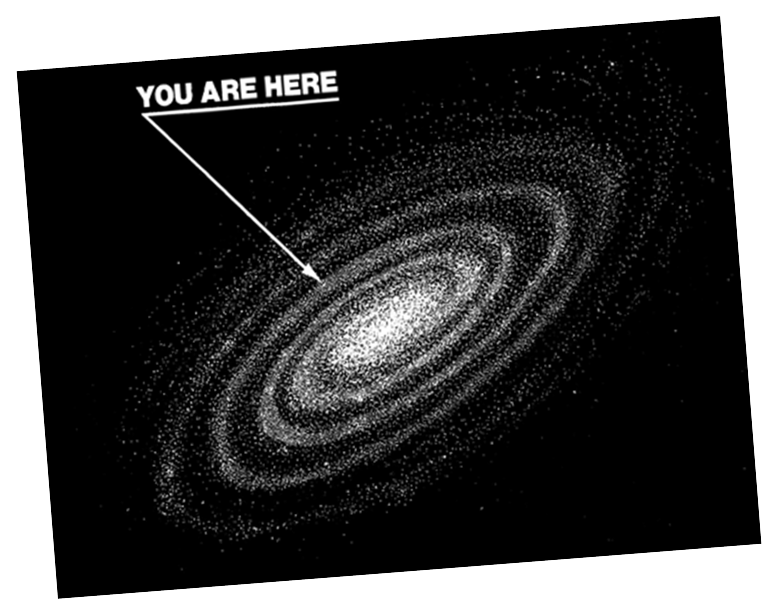 …but you get the “BIG picture”‘ yes? 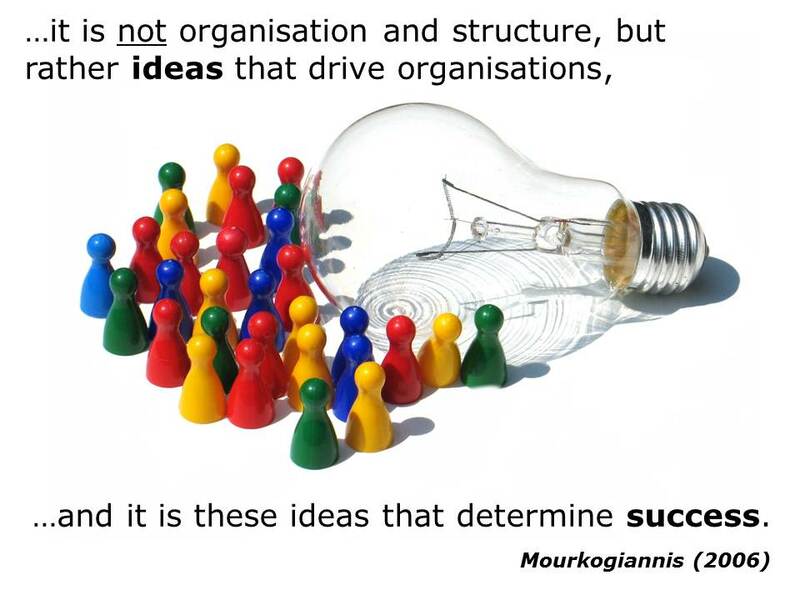 Ne se…the “logic” goes like this: if we develop our goals or targets in line with the letters of this lovely little acronym, we will all become more “productive”…more “effective”…more “successful” (mış mış, yani)! I will endeavour to ensure that I LISTEN to my kids and help them all “love” LEARNing in all its wonderful shapes and forms! 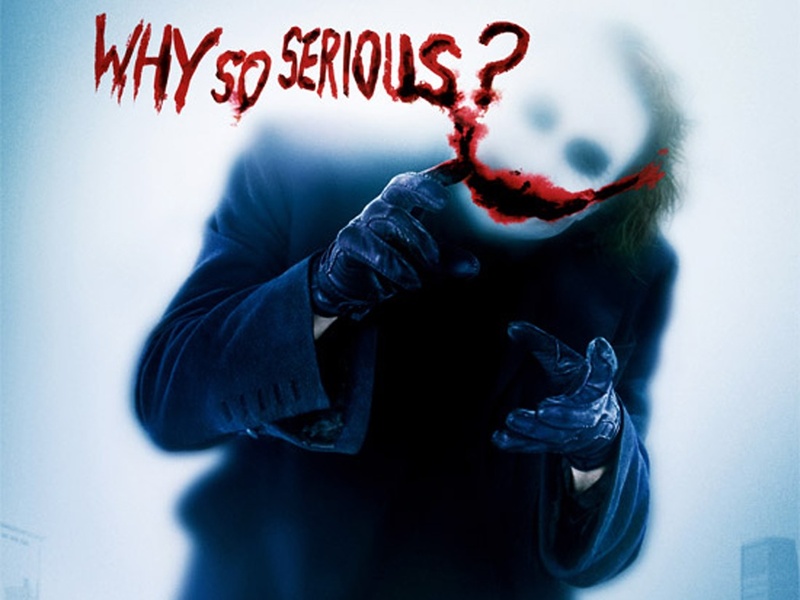 I am gonna make sure that I “really, really” LEARN my kids how to SPEAK…this semester…in just 15 hrs! Actually, on second thunks – that 2nd thunk “is” pretty SMART! 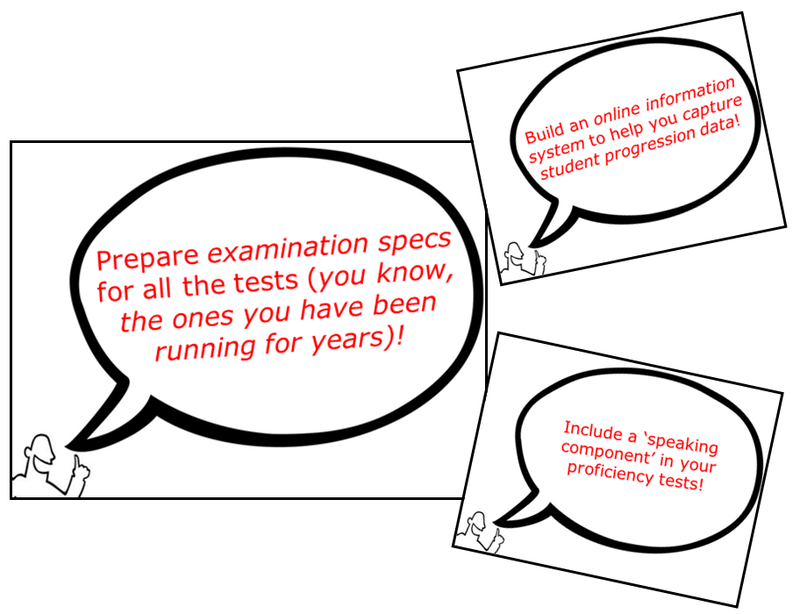 I will hit my weekly pacing guidelines EVERY day and ensure 97% of my kids pass their weekly grammar tests – and go on to ace the end-of-year proficiency examination (at the end of the year, yani)! 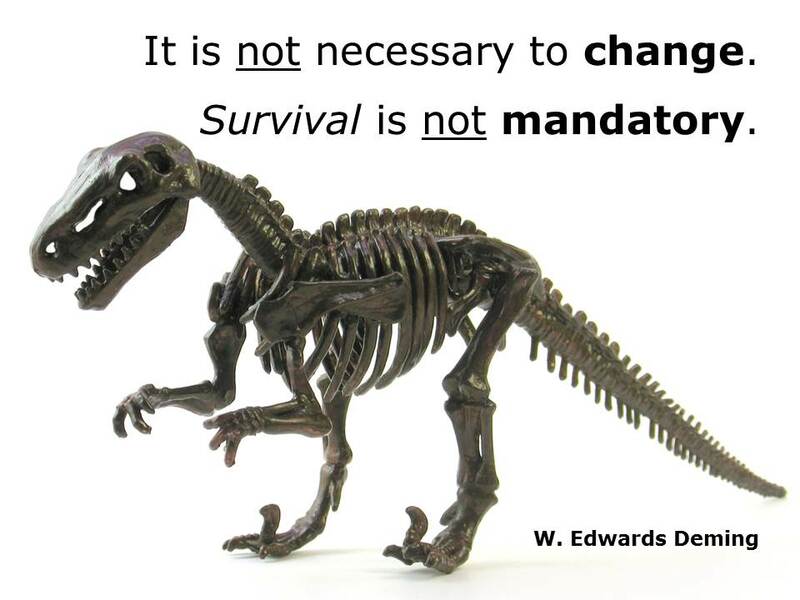 …it simply does not work as the “manual” outlines…especially for TEACHers! And, to add insult to injury…ends up being nothing more than “busywork” (..makes sense now, yes? 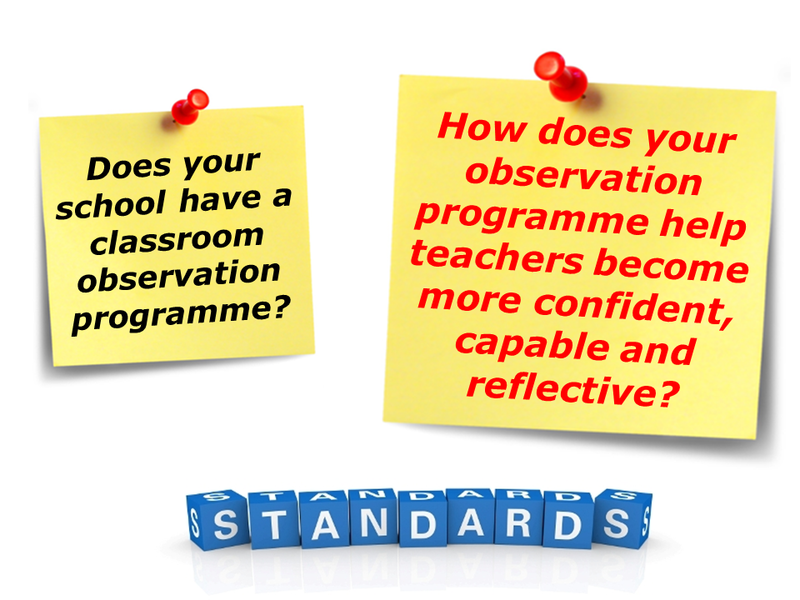 Even if it was not just a couple of seconds) handed down from EDUmanagement to EDUpractitioners that, more often than not, allows the aforementioned manager to “tick” a box somewhere! …He was a lot SMARTer than many EDUmanagers these days – especially those that “read-a-book-and-tell-the-world” – or (worse) – “read-a-blog-post-and-jump-without-thunking”! 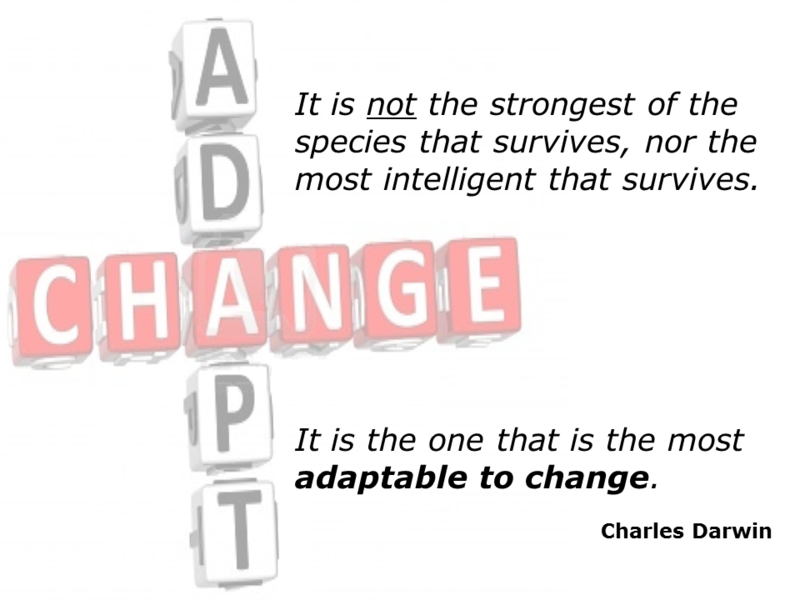 This is why I “dropped” this whole idea of “SMARTness” in my goal-setting a few years back. 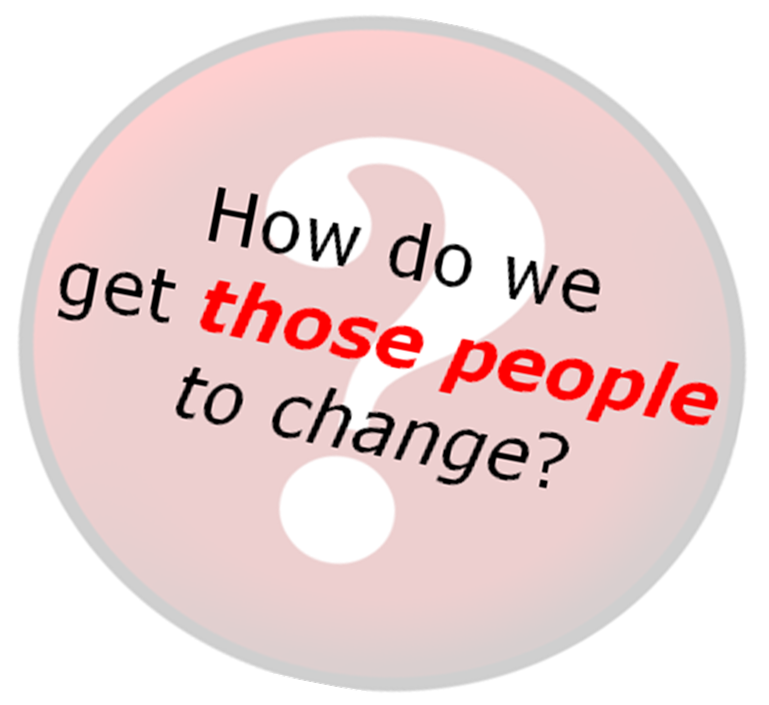 A wee idea I “stole” from Mark Murphy – another “business” (not “busyness”) guy! 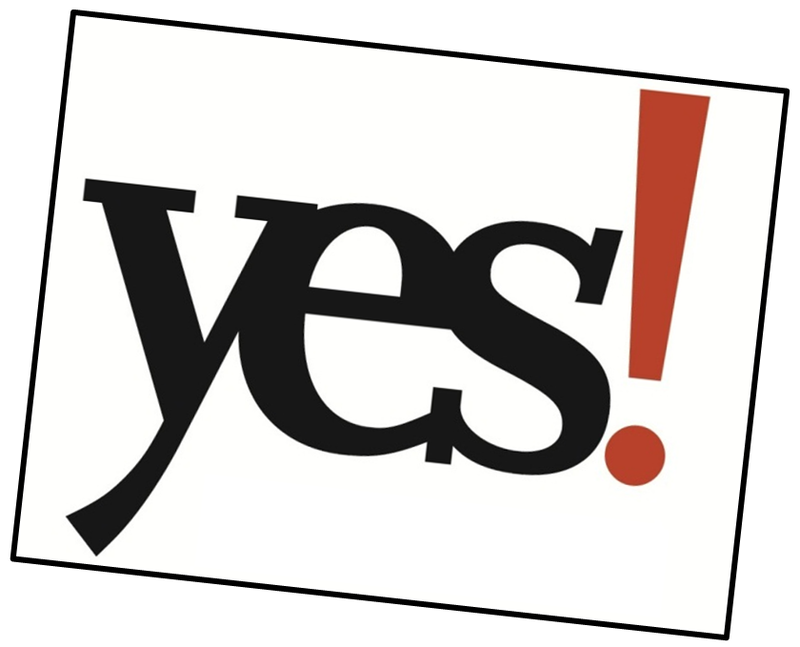 Go on…have a “guess” what this little acronym stands for (don’t scroll down)! 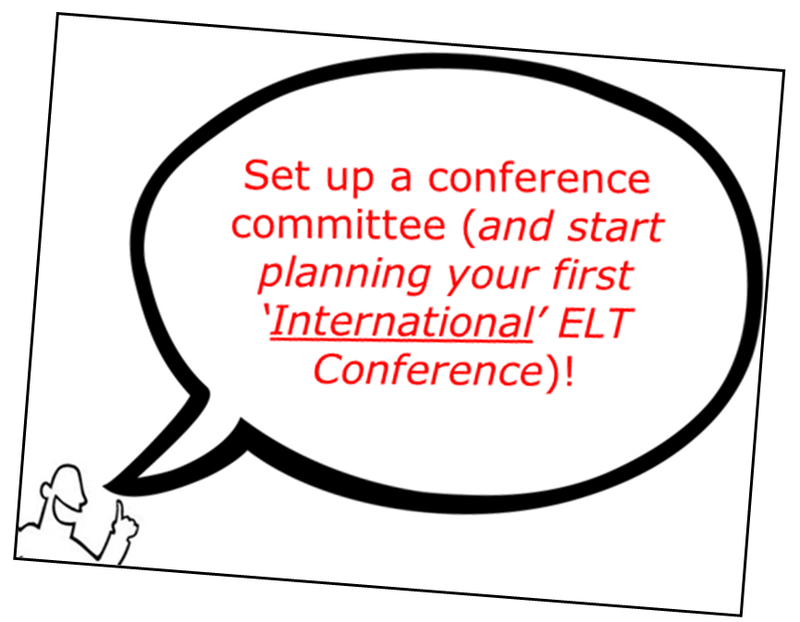 Now, check it with your “team” (or online PLN)…you have 3 minutes! Isn’t that first one so much better than “specific”? I won’t mention “measurable“…promise! But, that “animated” one sounds kinda cool, too. Click HERE to take a closer look at all the others. 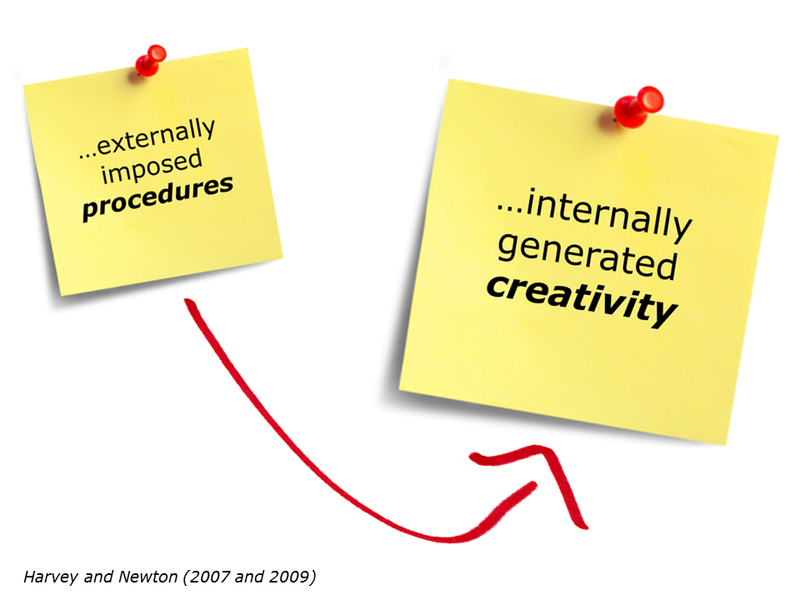 …despite the fact that many of our institutions are doing their bestest to knock the “challenge” out of what we “do” – and the “creativity” of those that we do “it” with! 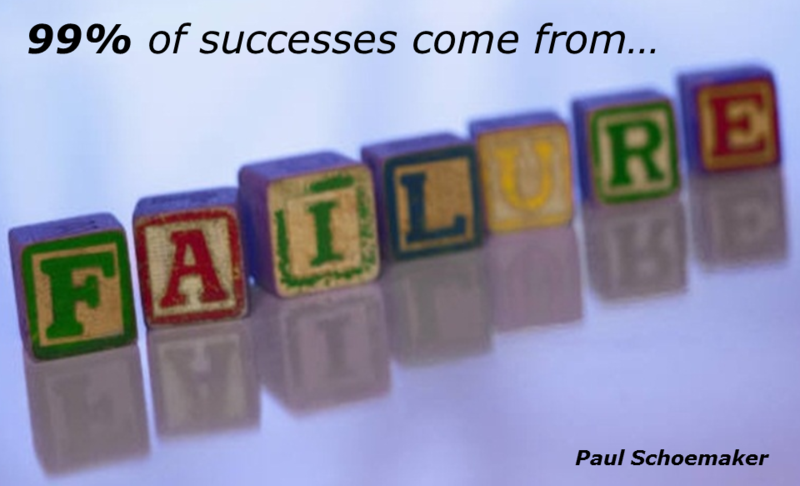 This is why we need to bring the “H” and “A” together with the “R” and “D” – in all we do…especially in any goal-setting we might do for 2013-14! 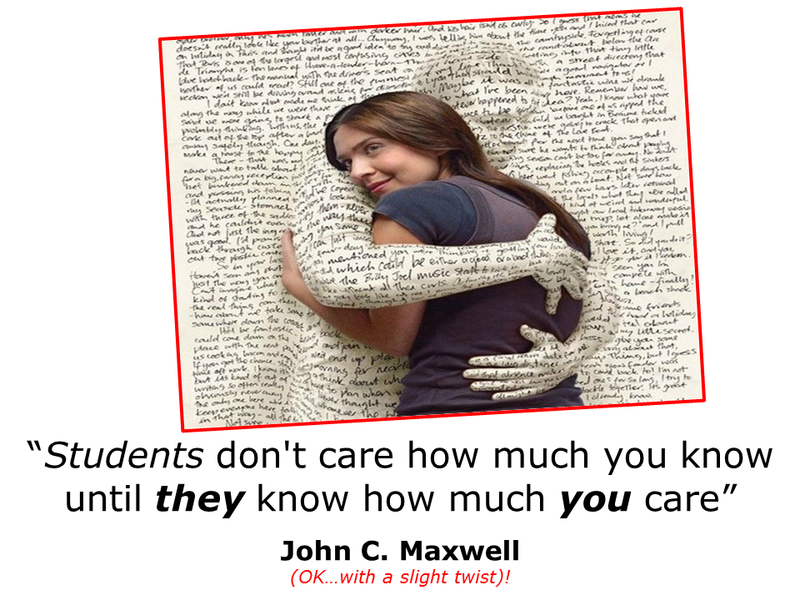 I think this is why I like Shelly’s (no….did not forget her) “30 Goals Challenge for EDUcators” – take a look…not a SMART goal in sight…but lots of “dreams”…lots of “inspiration”….and….lots of the RIGHT things to “do” across 2013…and into 2014, too! Yes…some of them are “hard“, sure…but the HARDer the BETTER! This is (probably) the last post of 2012 for moi…yes, Nazli Hanim (aka the “missuz”) has just confirmed this! 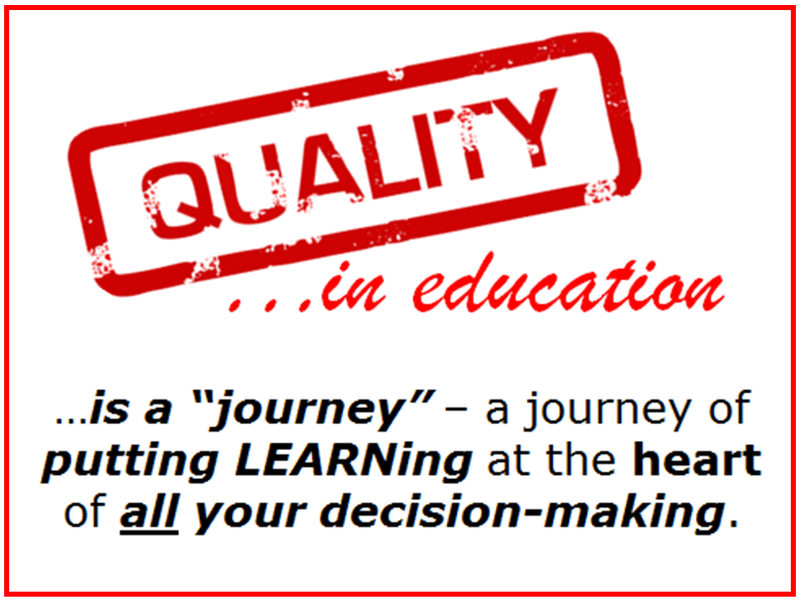 So it is probably the right time to THANK YOU ALL for your continued support of allthingslearning…but, more importantly, to wish YOU and YOURS…nothing but the BEST as we step into 2013!